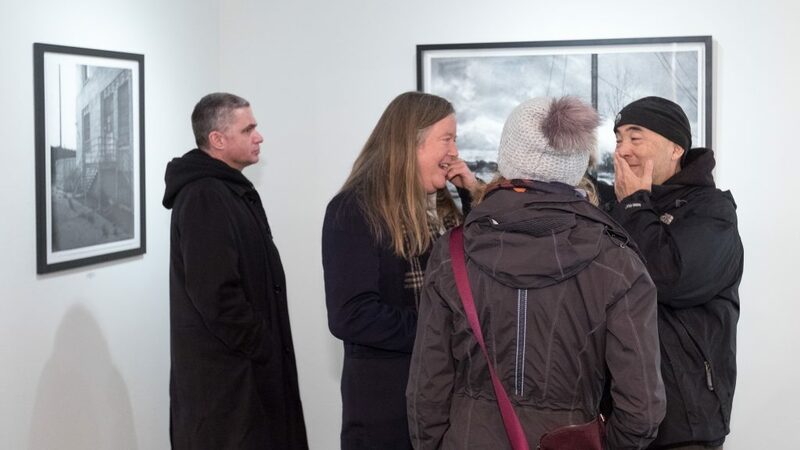 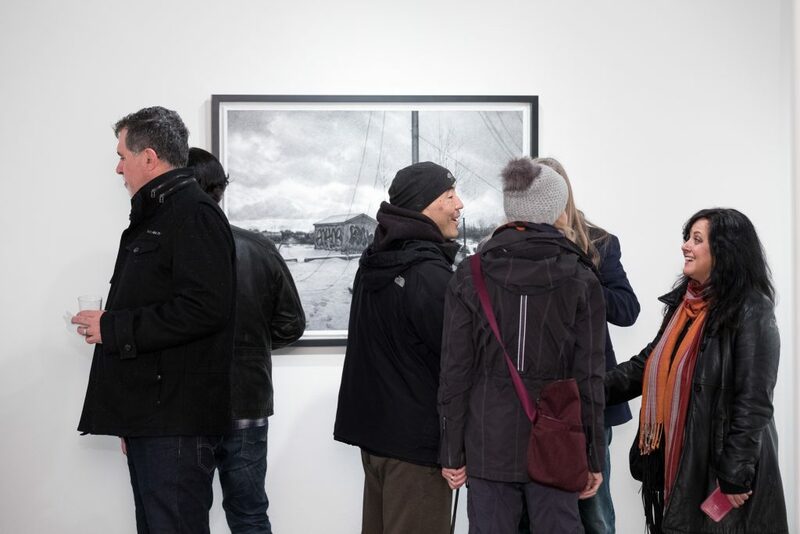 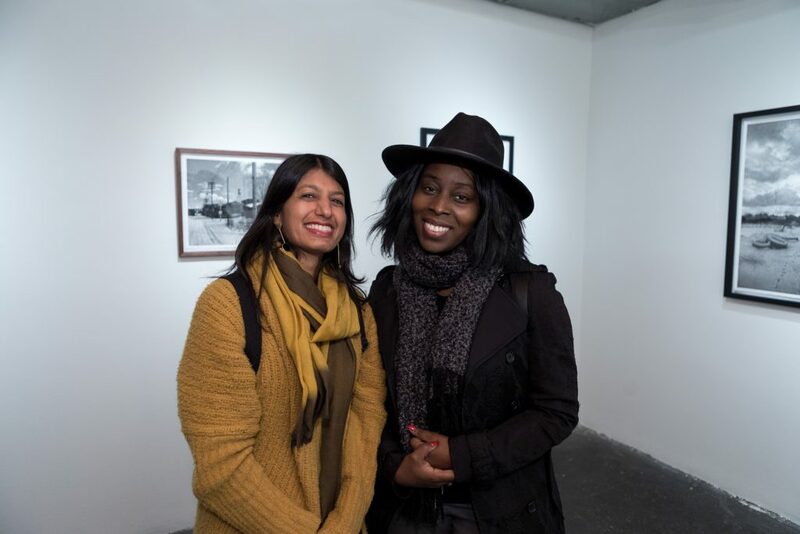 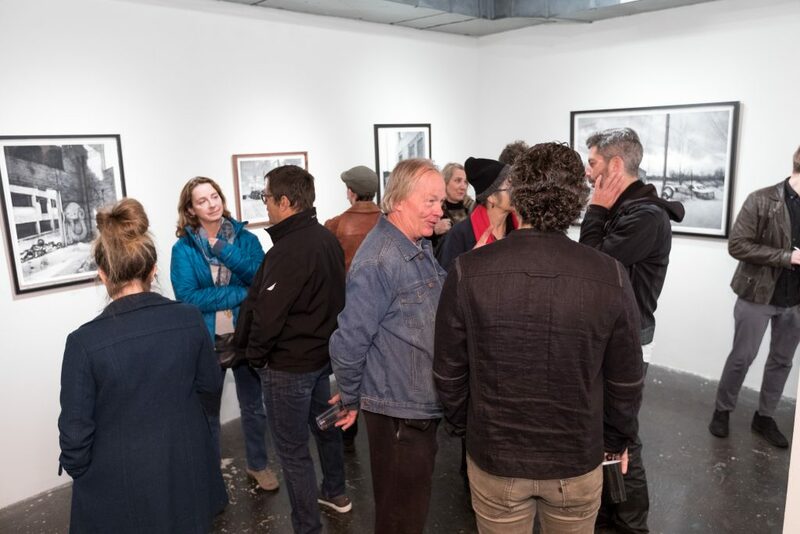 Thank you to all those who made it out to the first opening of 2019. 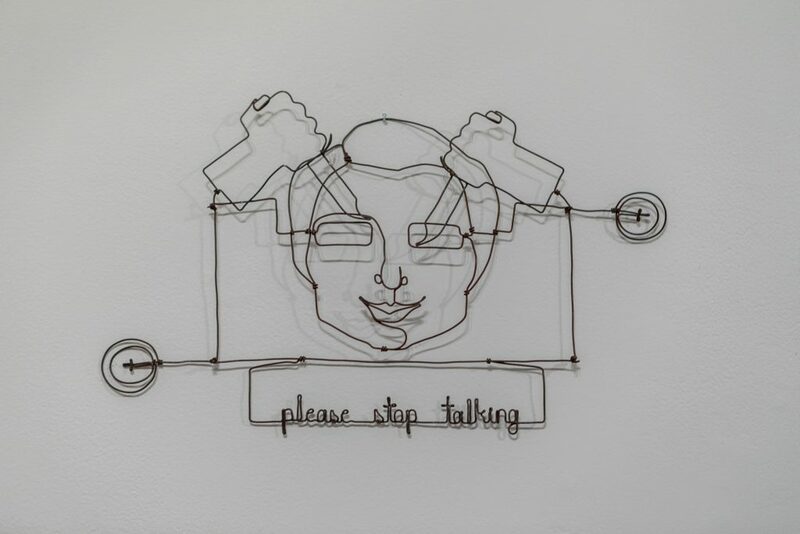 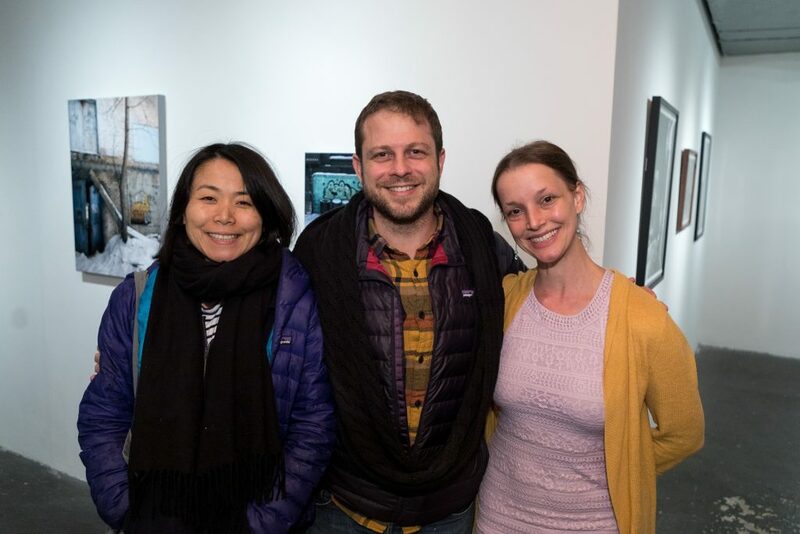 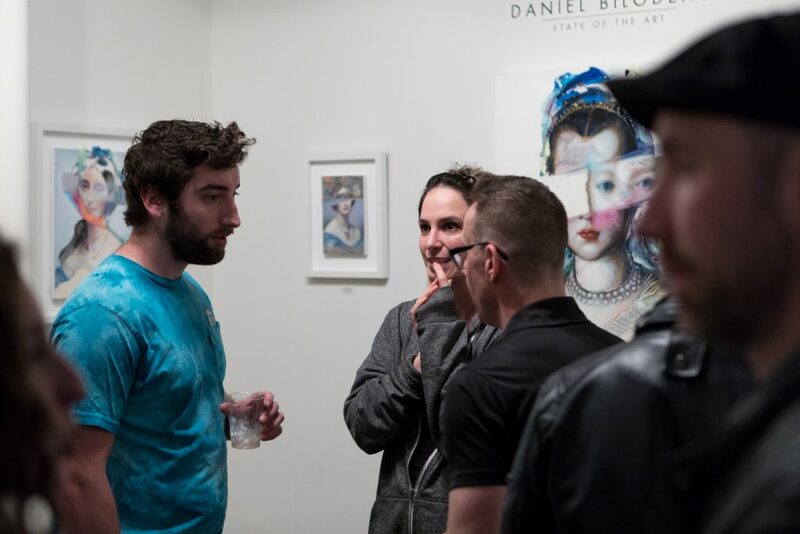 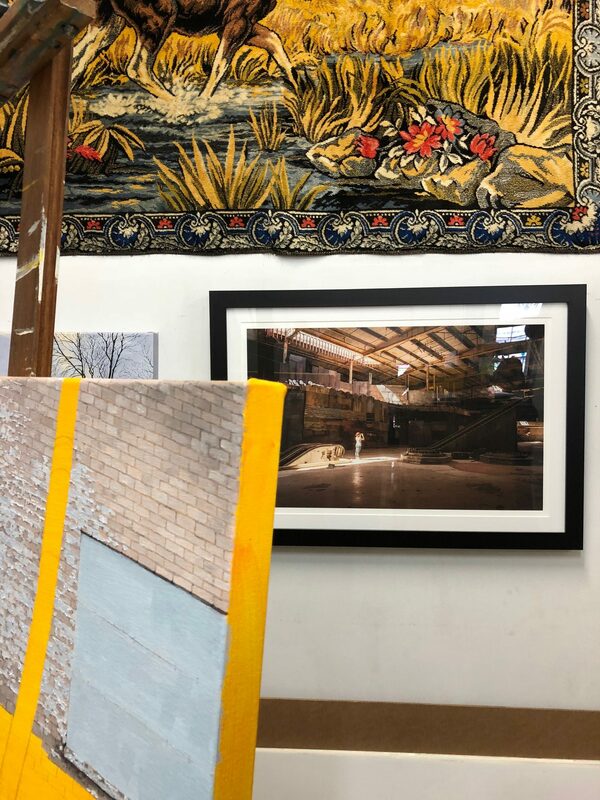 We kicked off the year with new works from Portland-based artists Stephanie Buer in our main room and New York-based artists Danial Bilodeau in the project room, with wire works by Spenser Little in the office space. 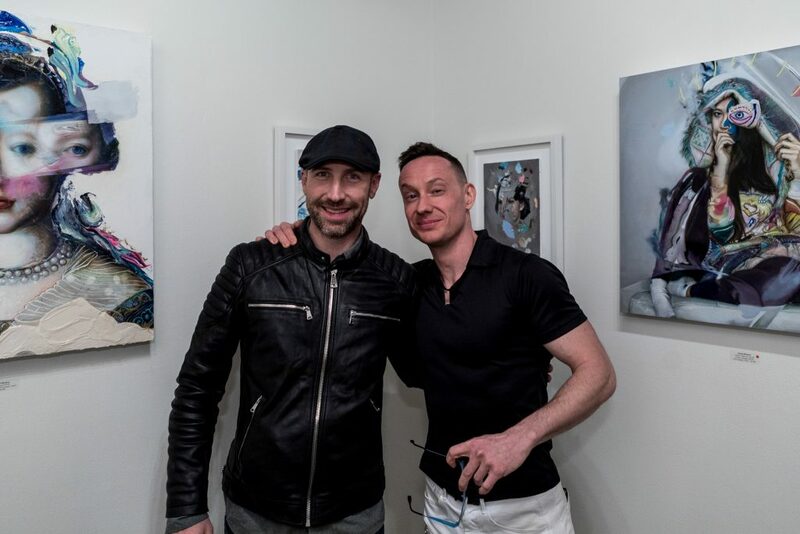 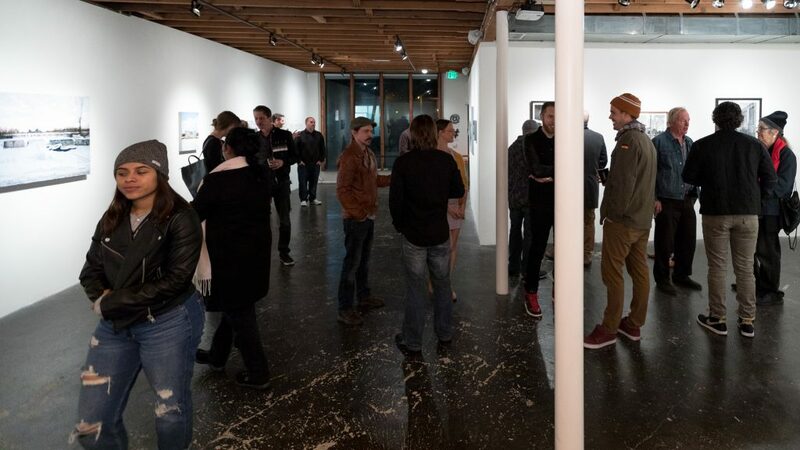 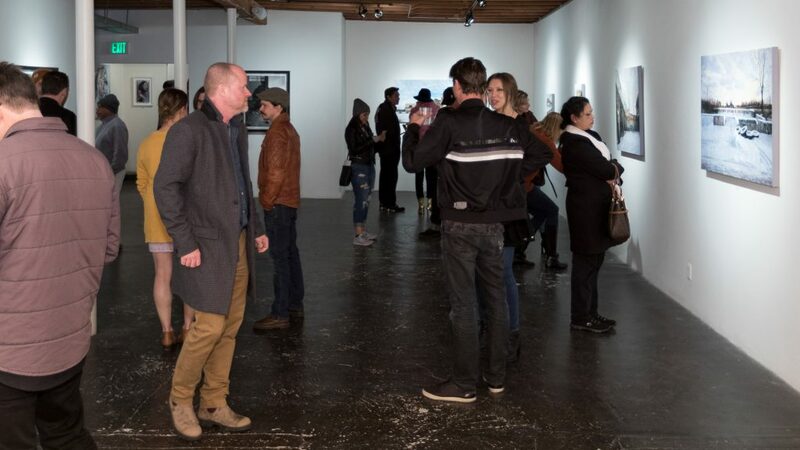 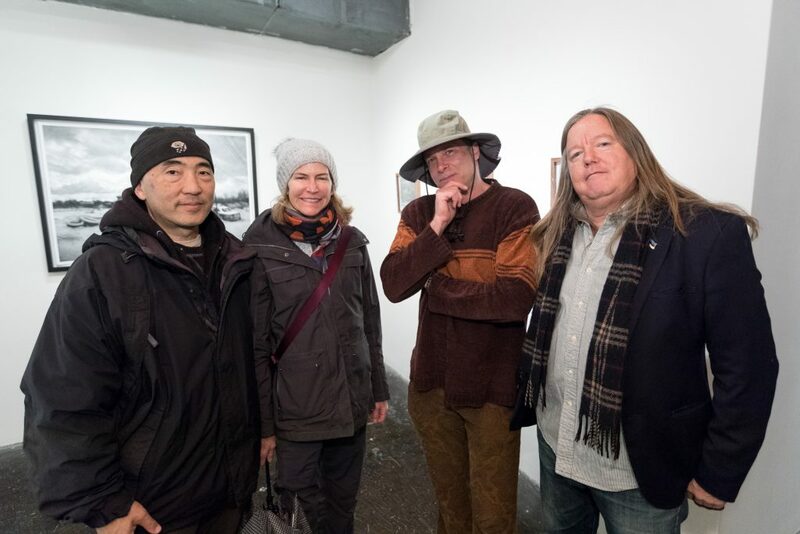 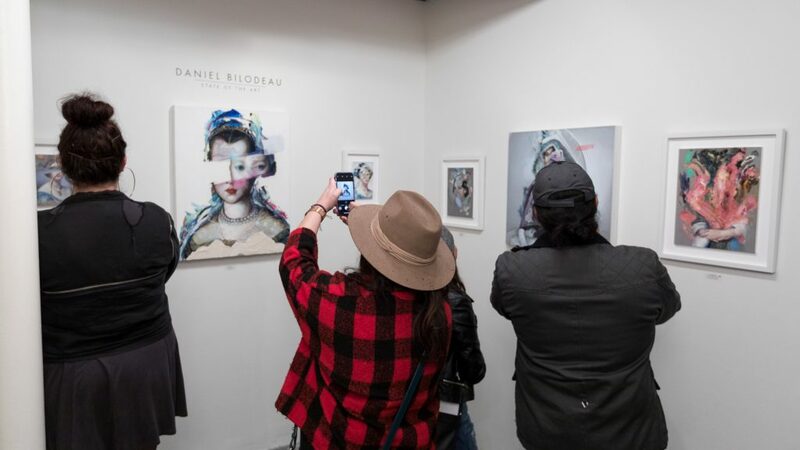 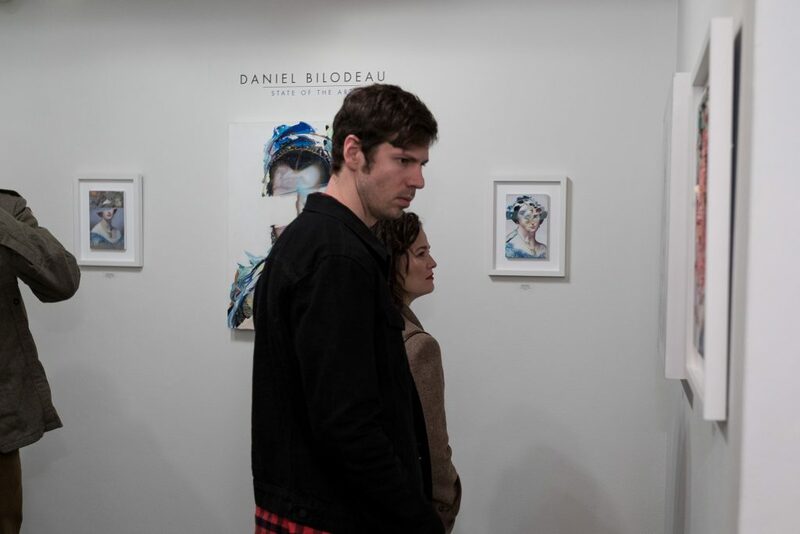 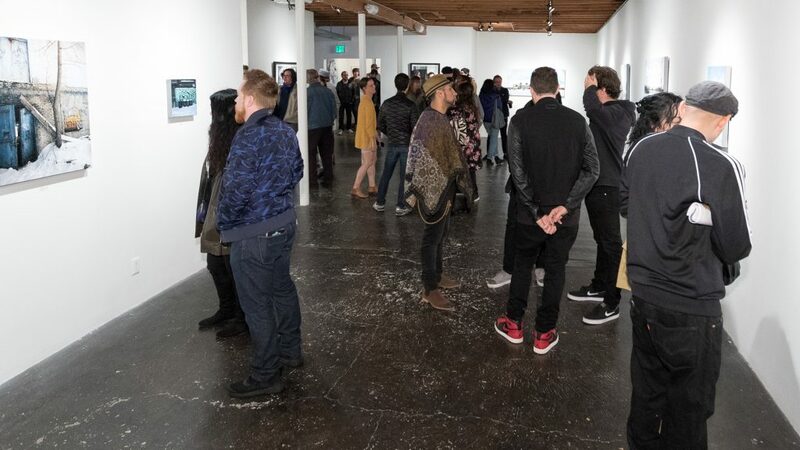 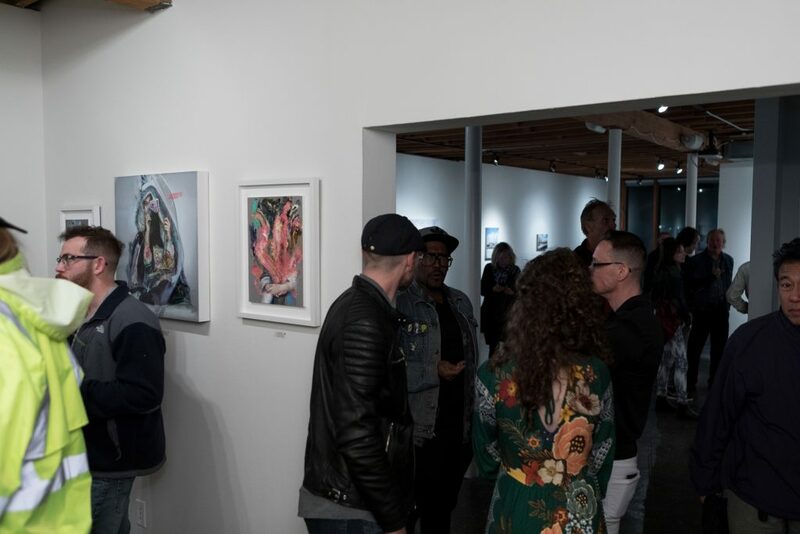 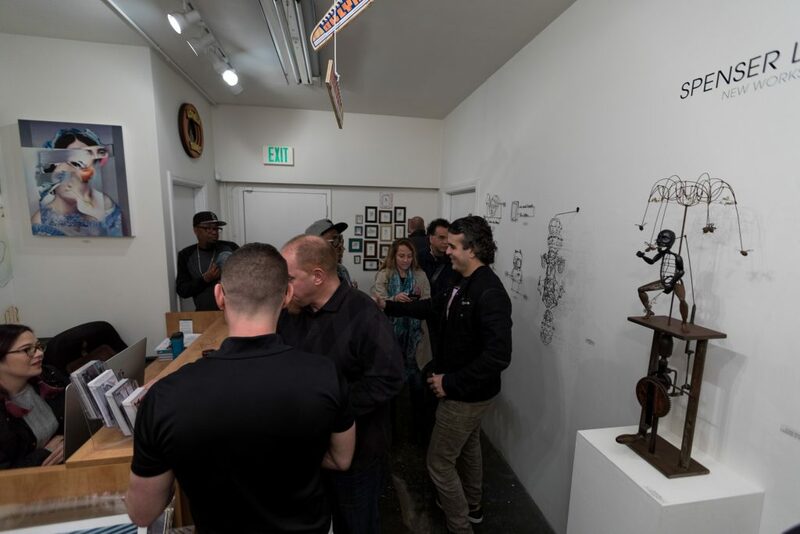 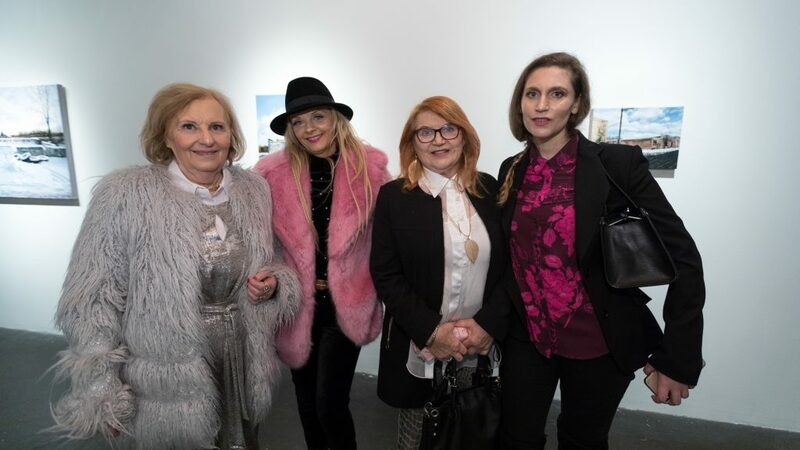 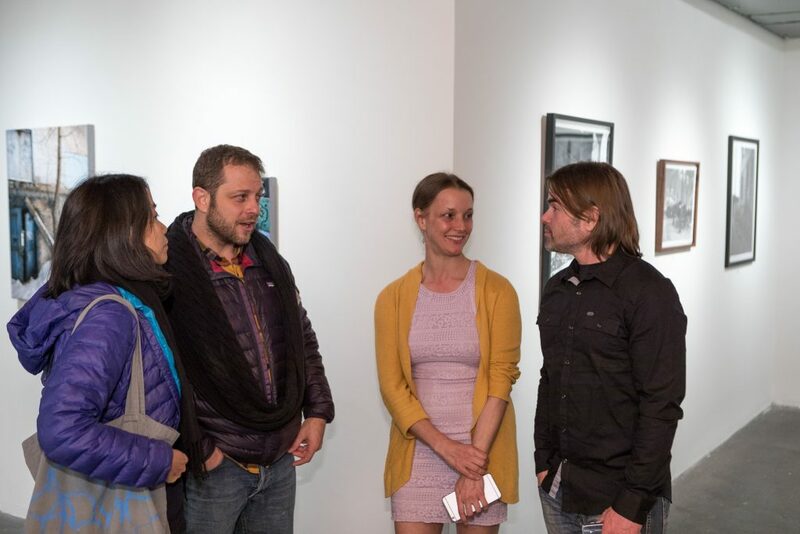 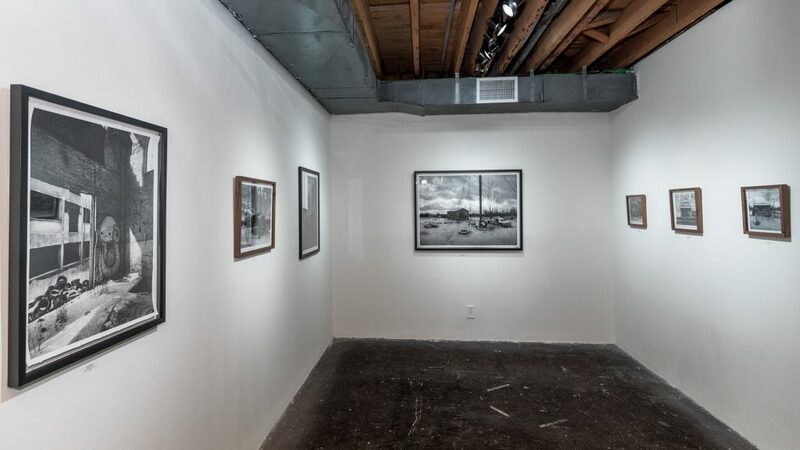 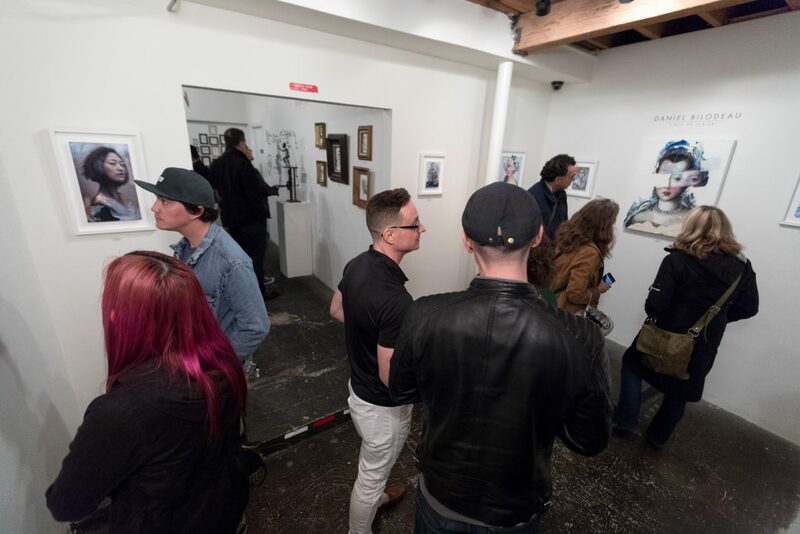 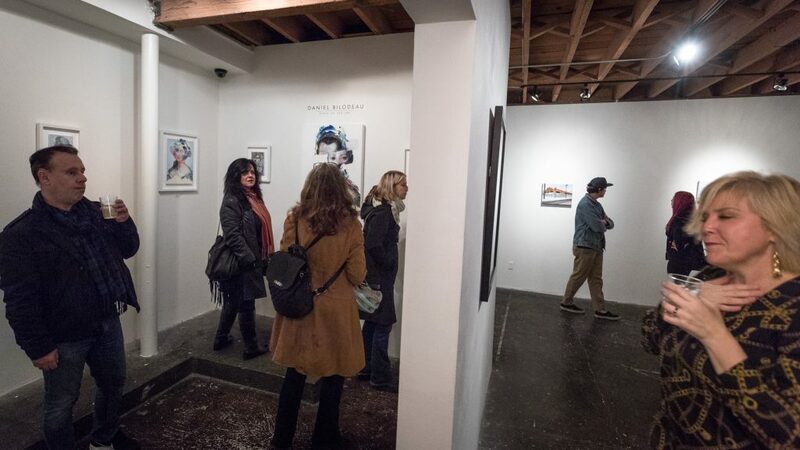 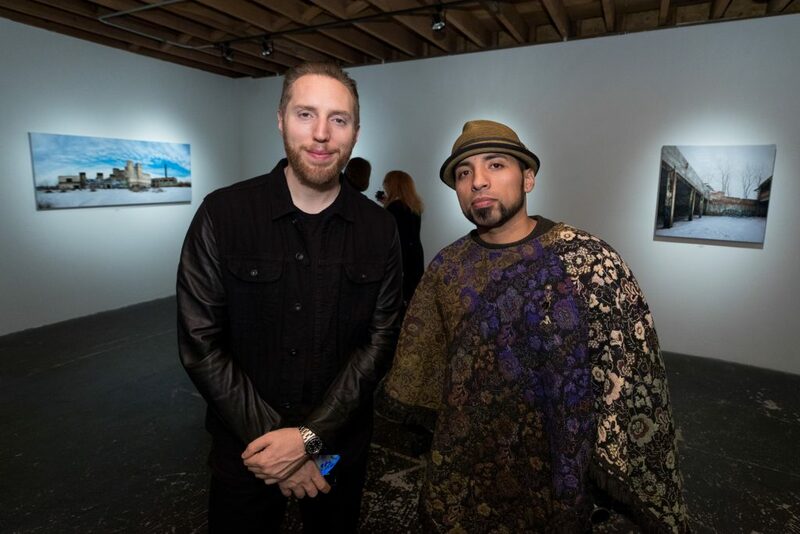 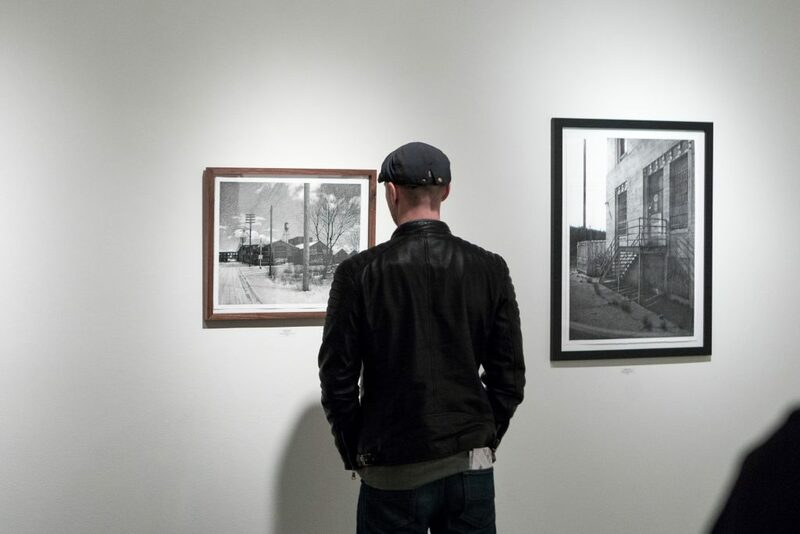 The exhibition drew a great turnout despite the Los Angeles rain and set a nice tone for the rest of the year. 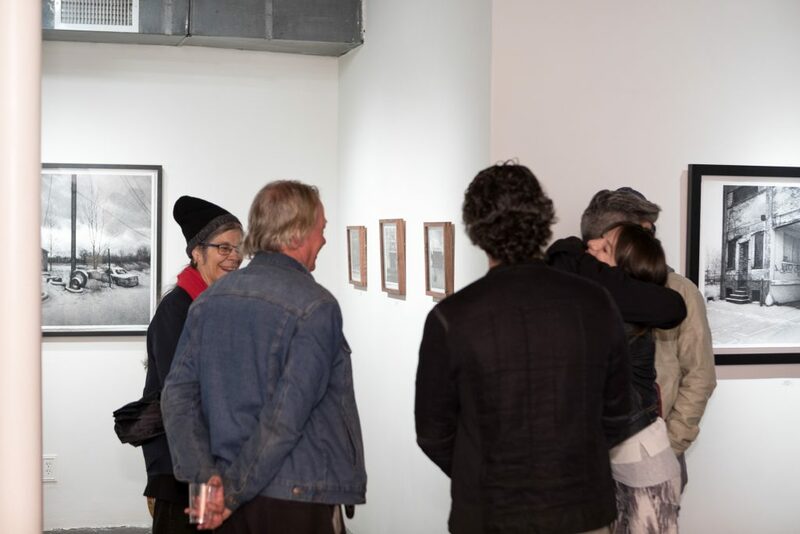 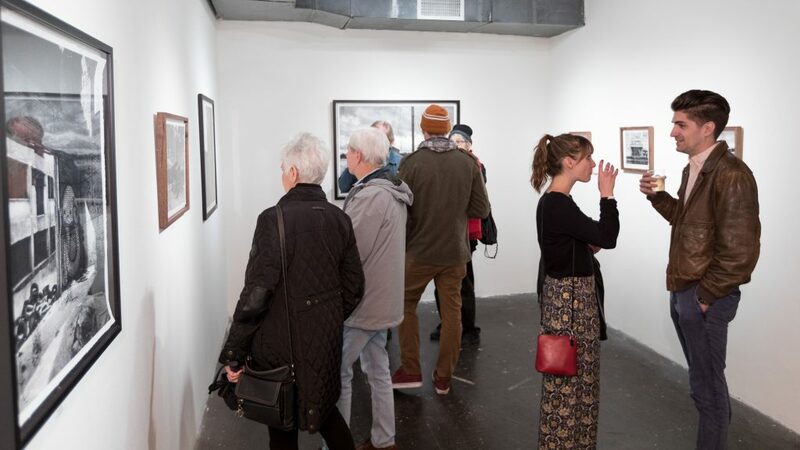 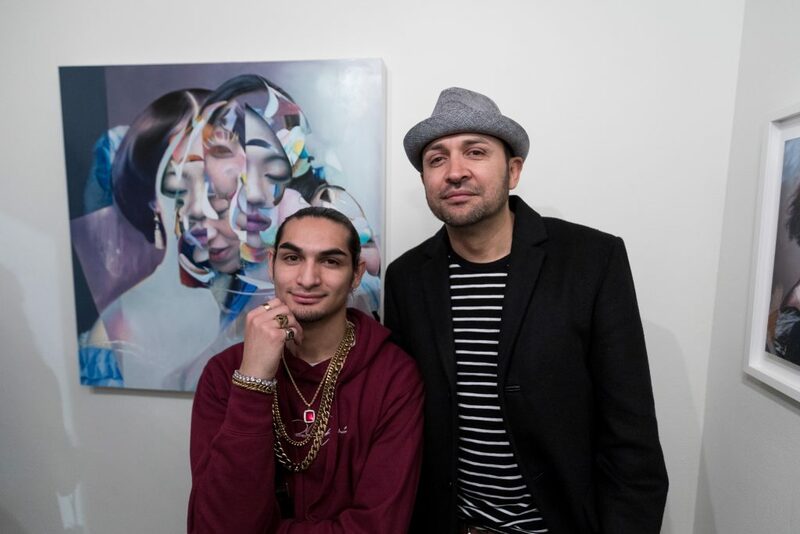 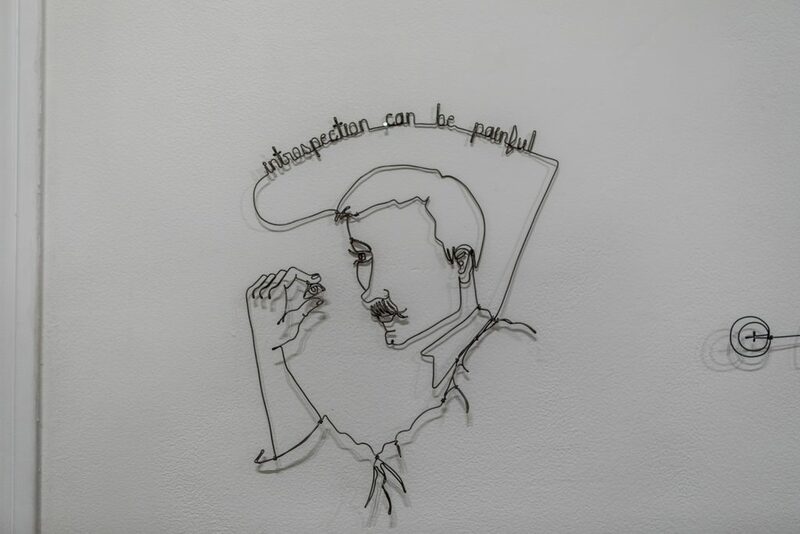 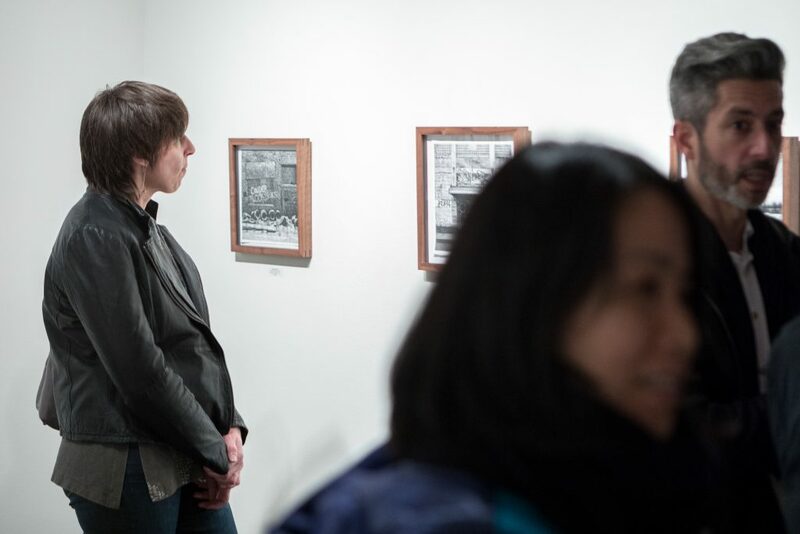 Make sure to come out and see both exhibitions now on view till January 26th. 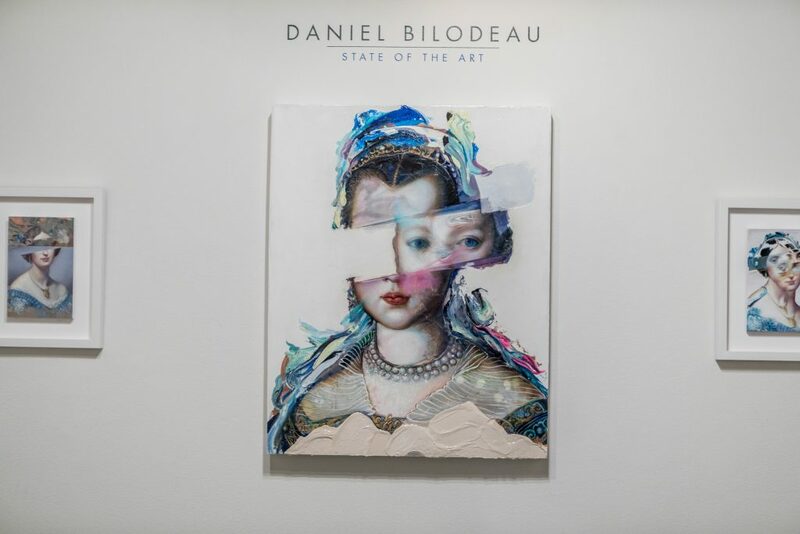 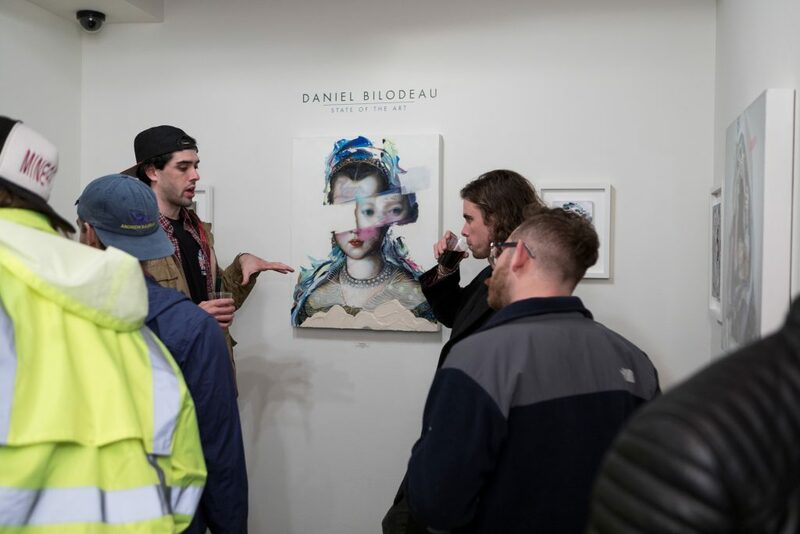 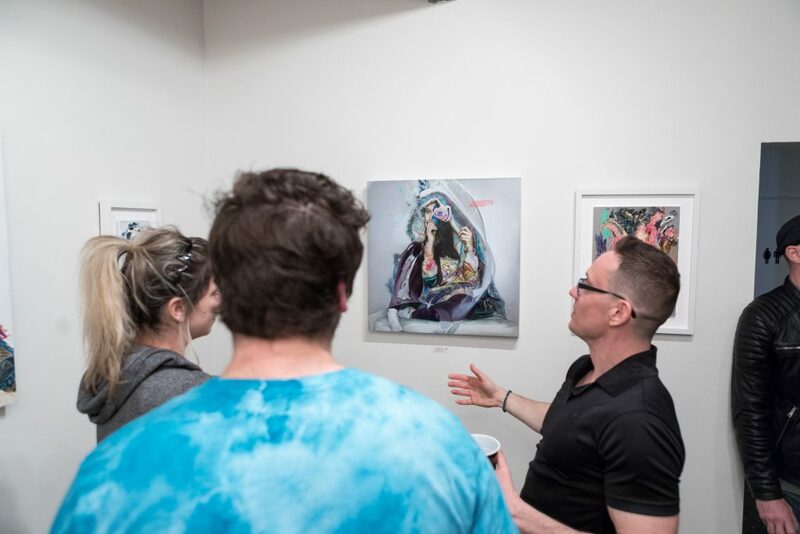 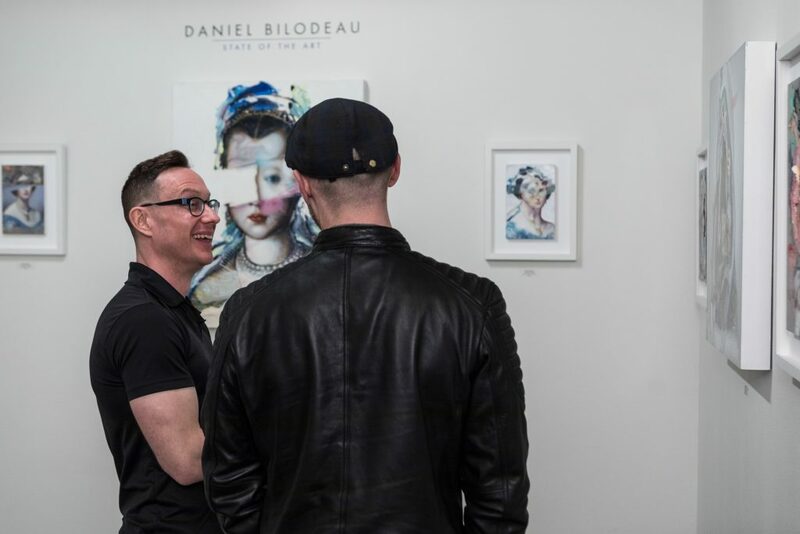 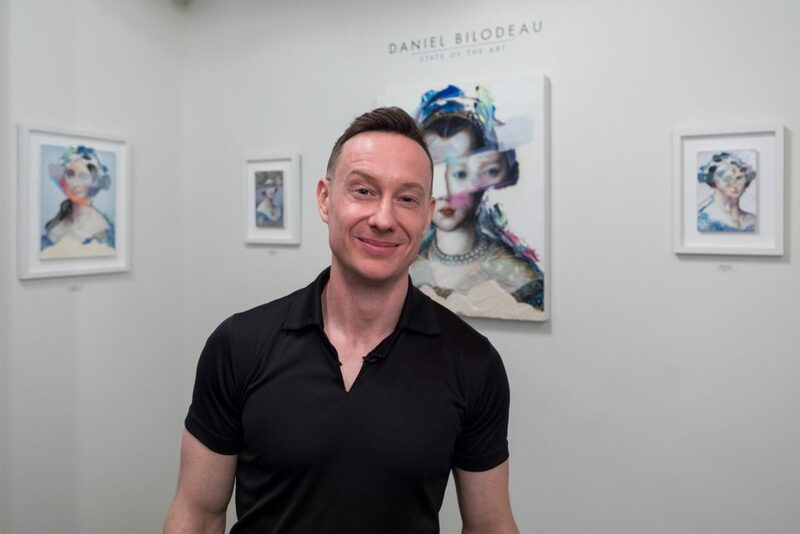 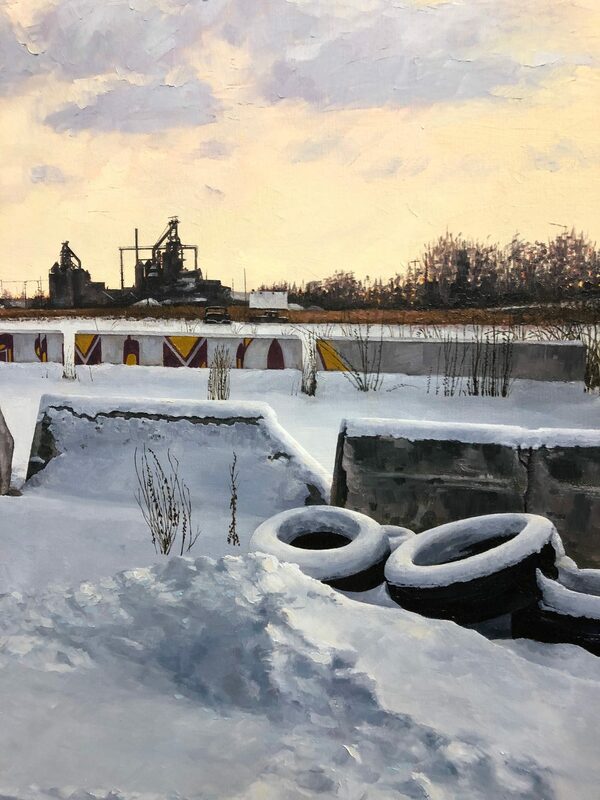 To view available pieces from Stephanie Buer’s “Wild Abandon” and David Bilodeau’s “State of the Art” visit the Thinkspace website. 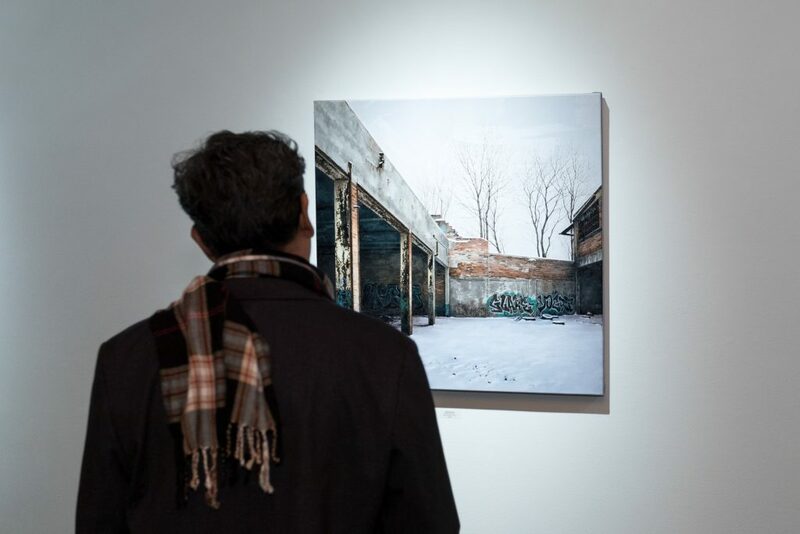 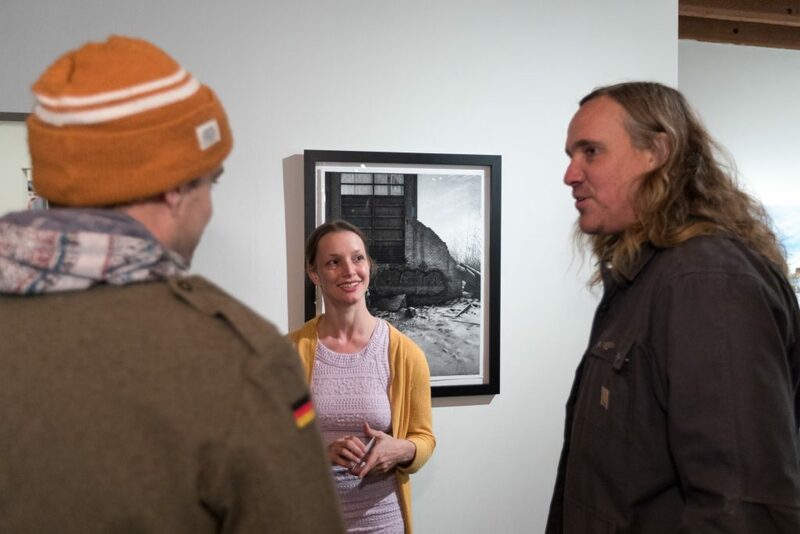 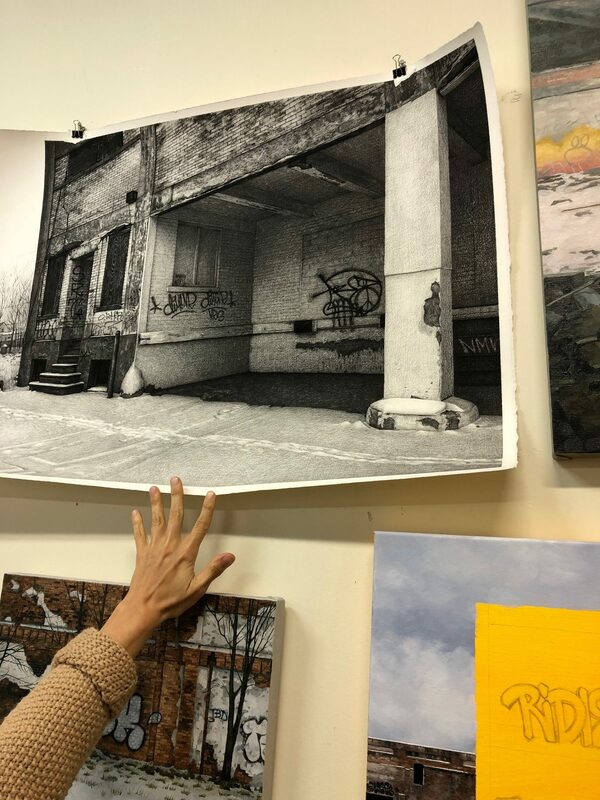 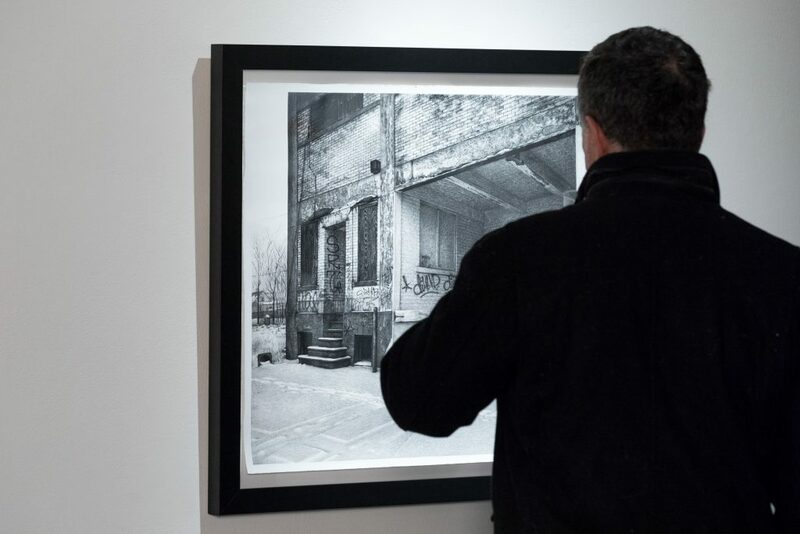 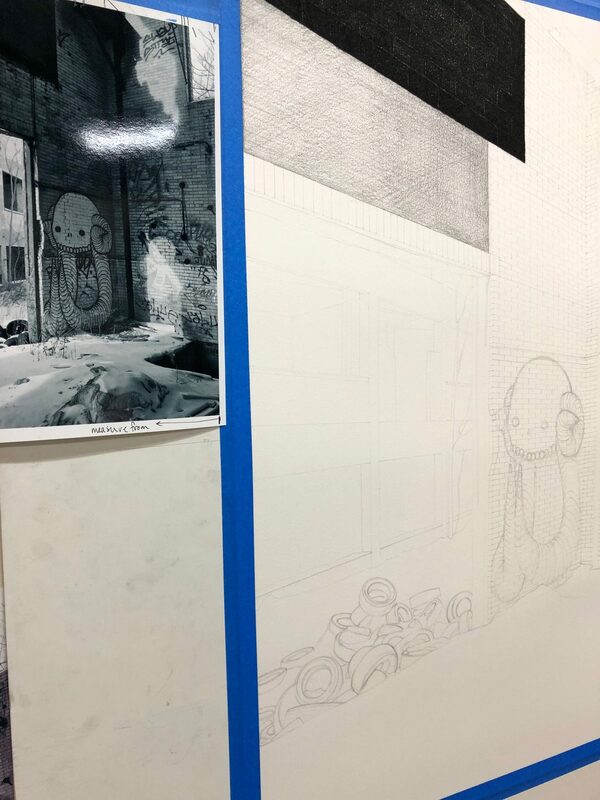 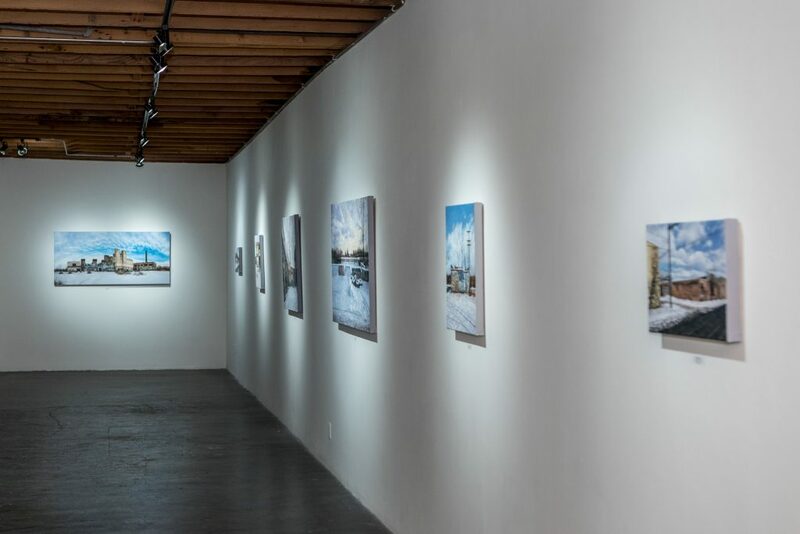 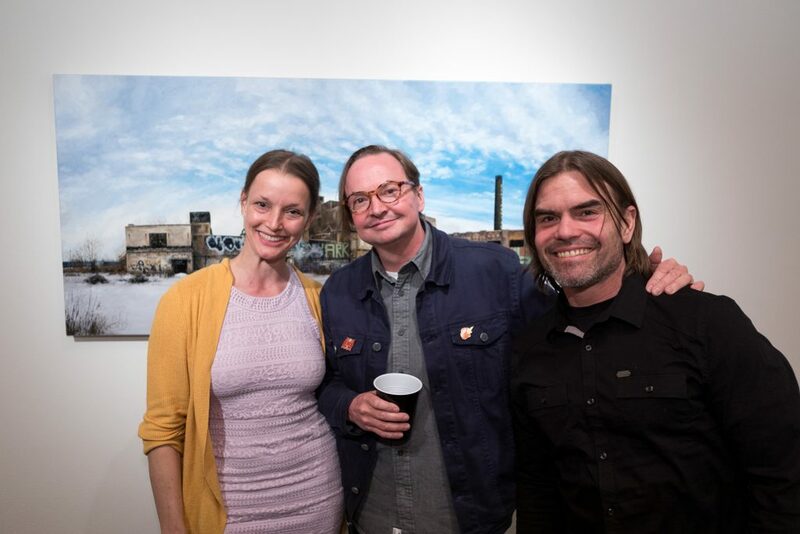 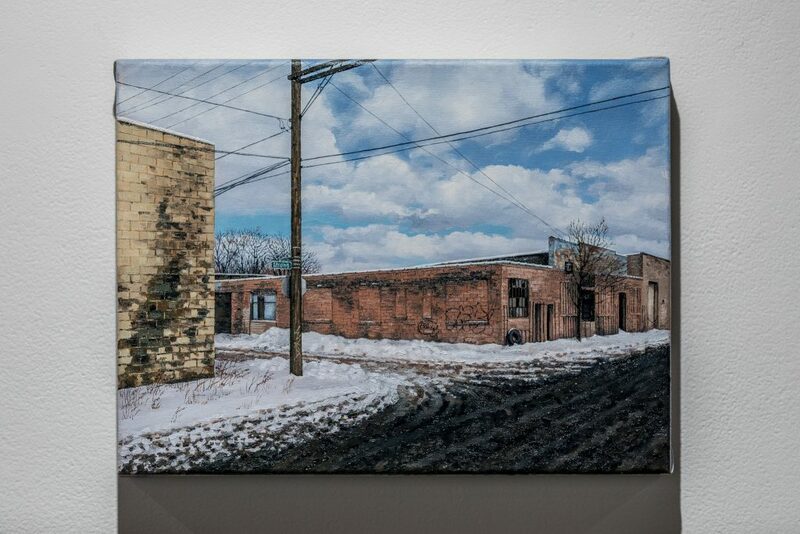 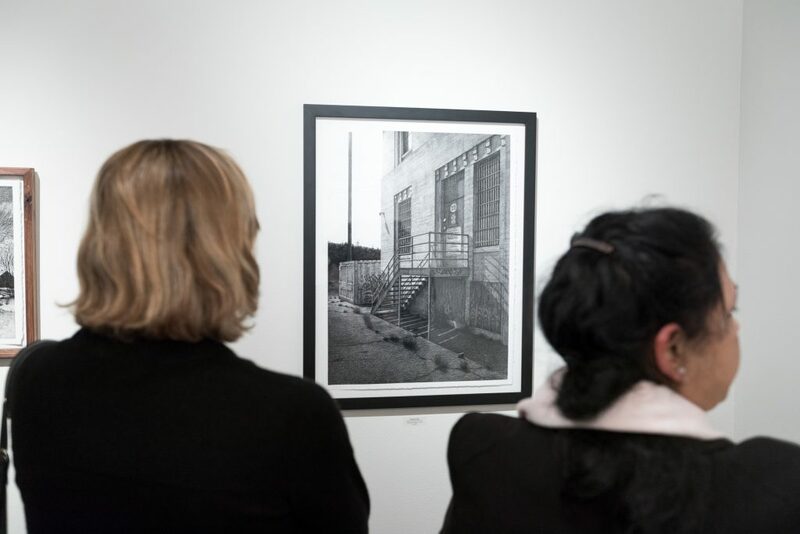 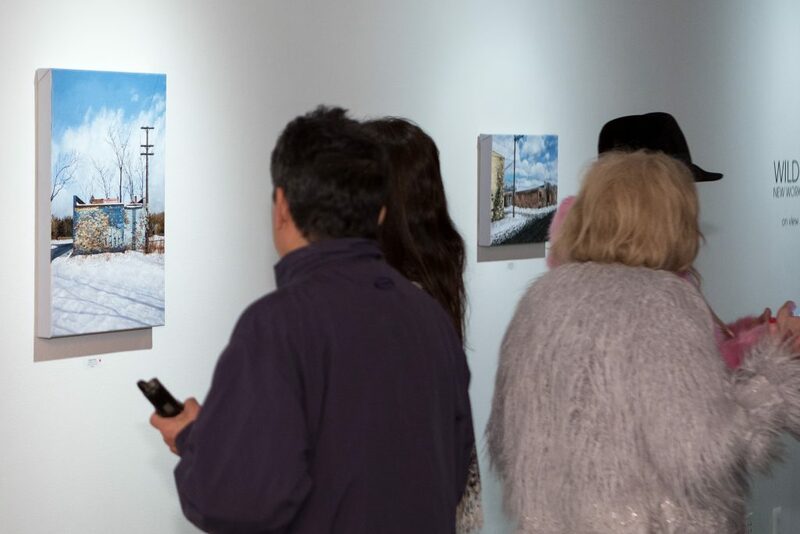 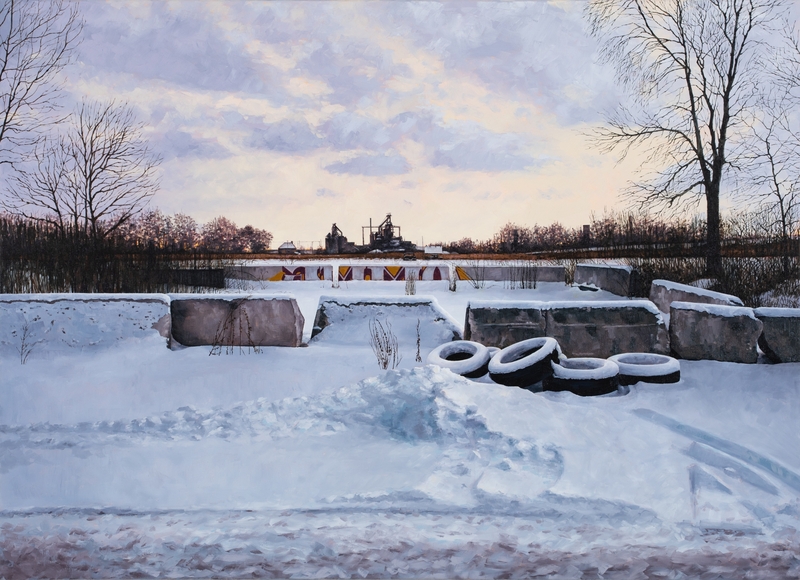 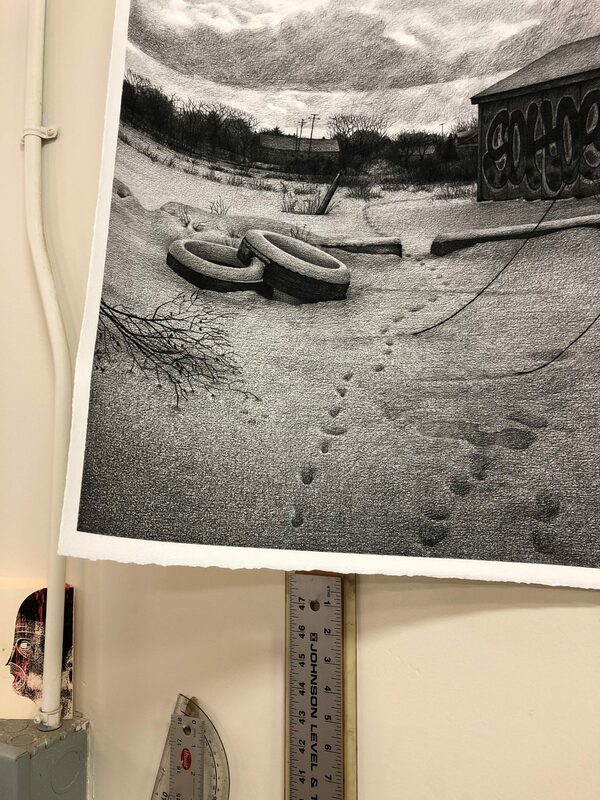 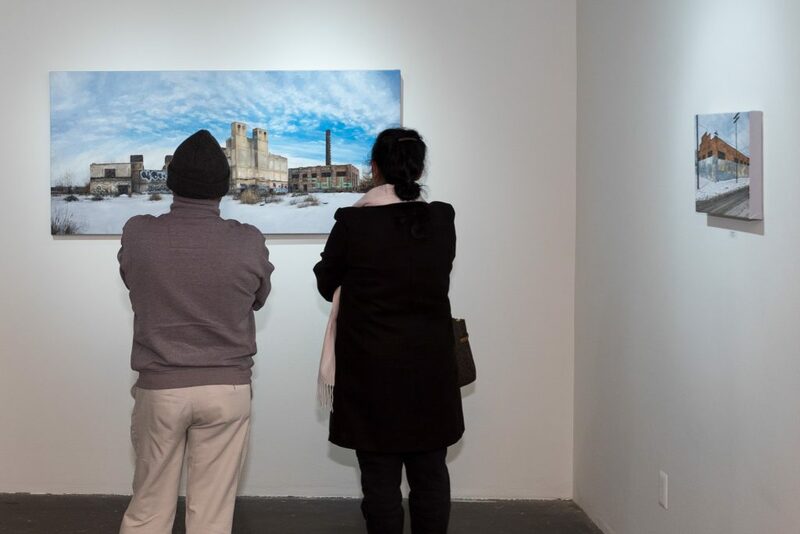 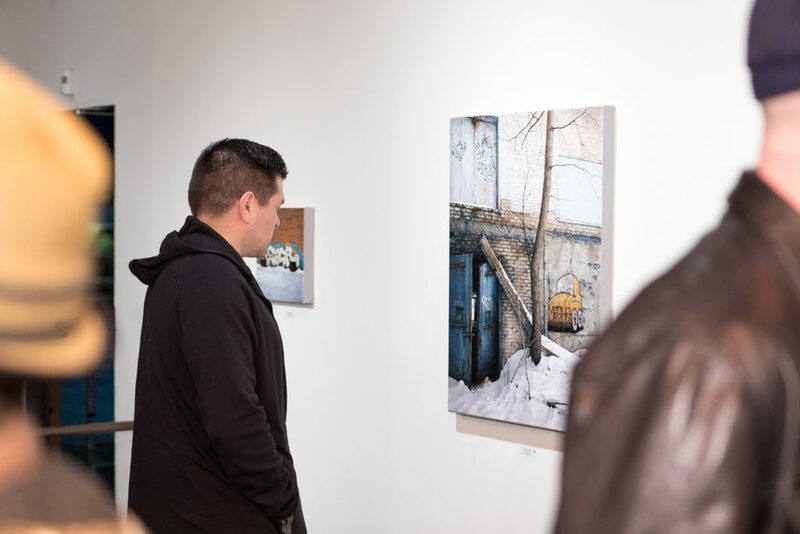 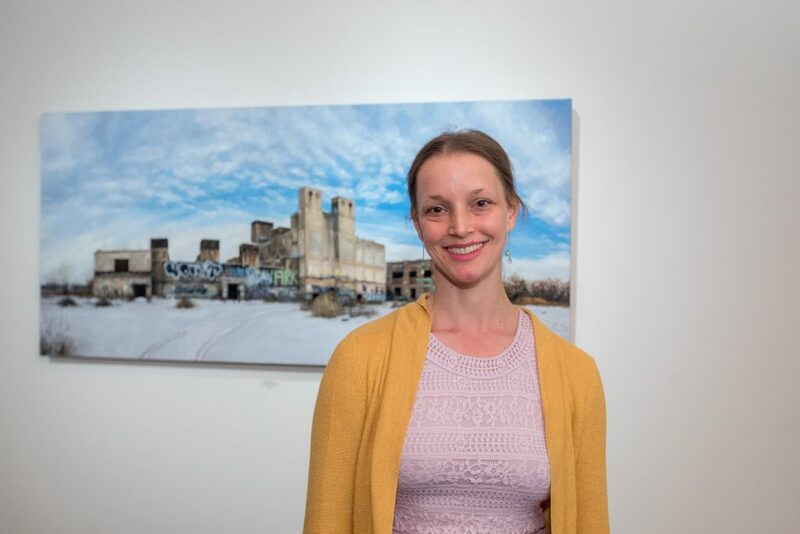 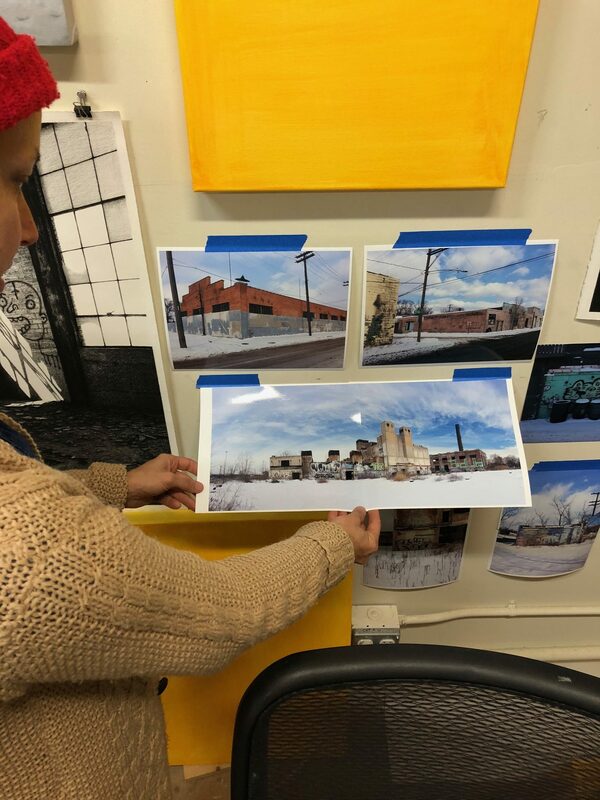 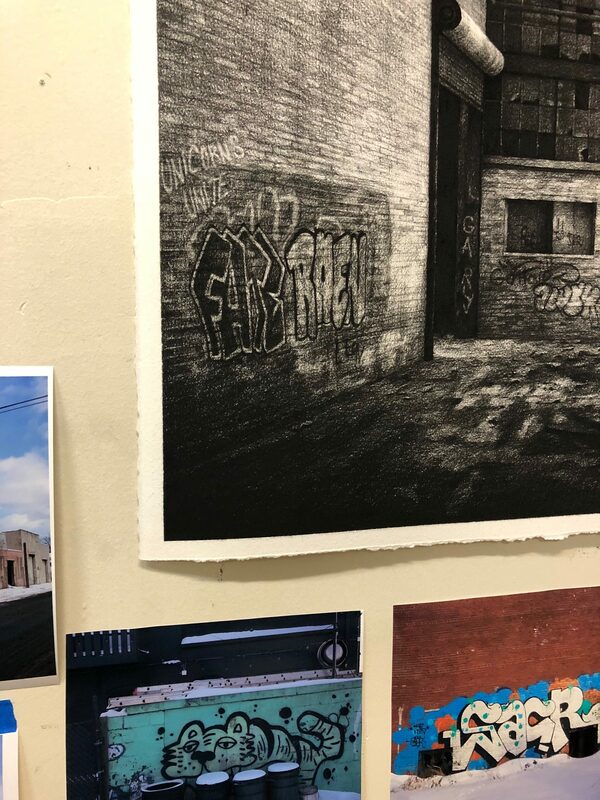 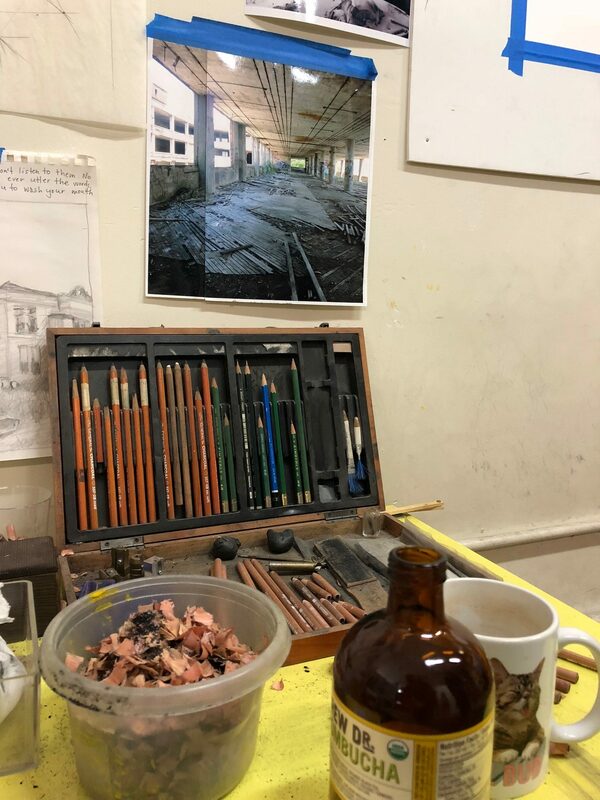 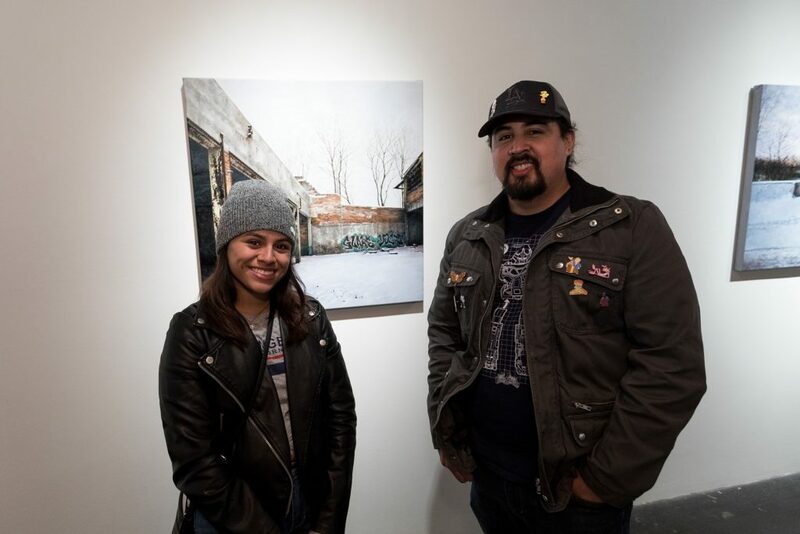 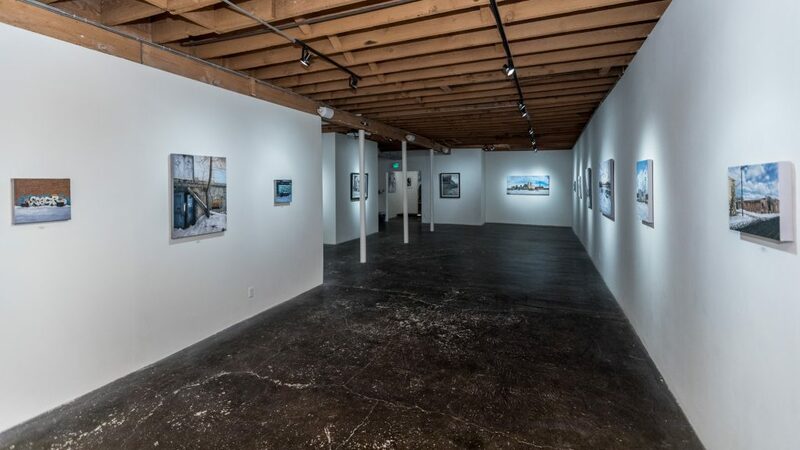 We’re excited to kick off 2019 with Stephanie Buer’s photorealistic work of abandoned urban landscapes. 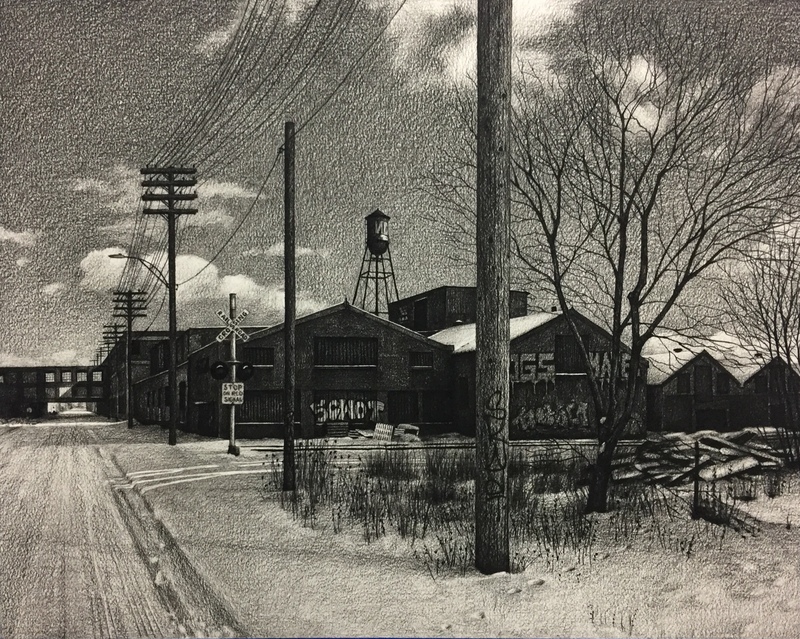 Wild Abandon will showcase her poignant oil paintings, and charcoal works on paper. 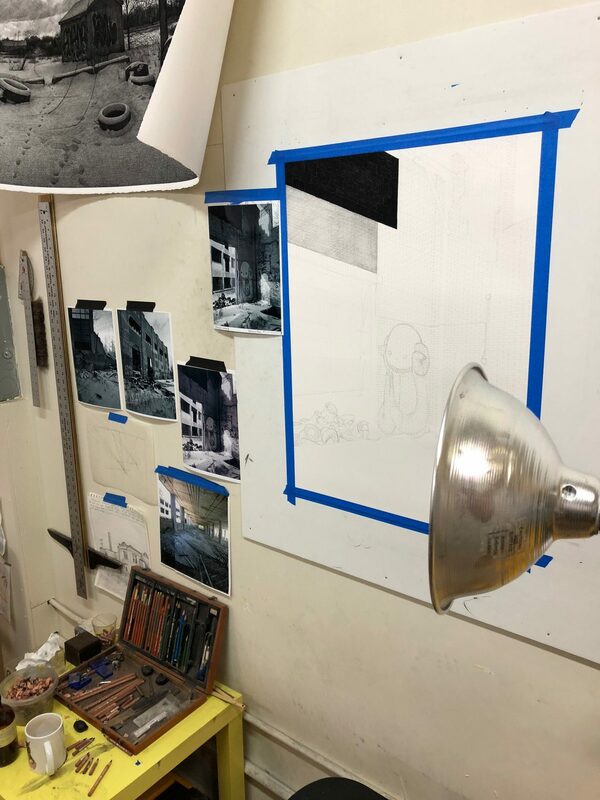 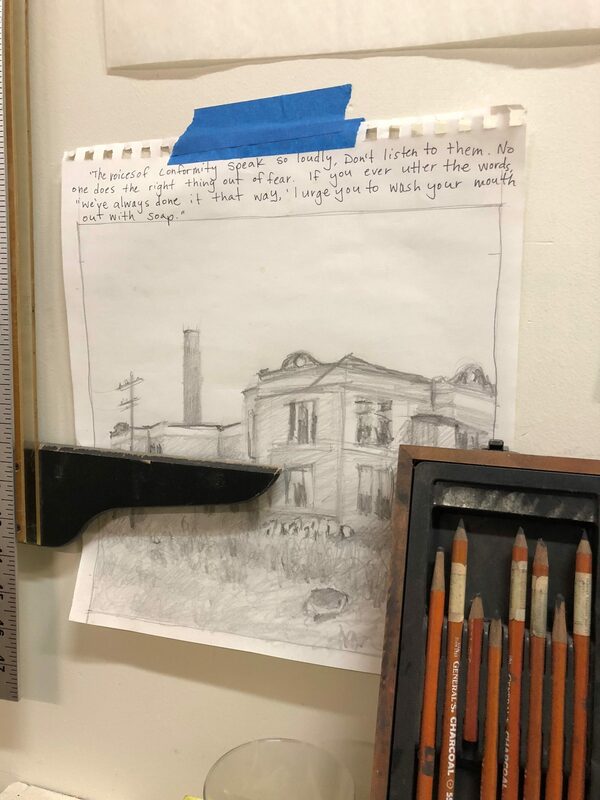 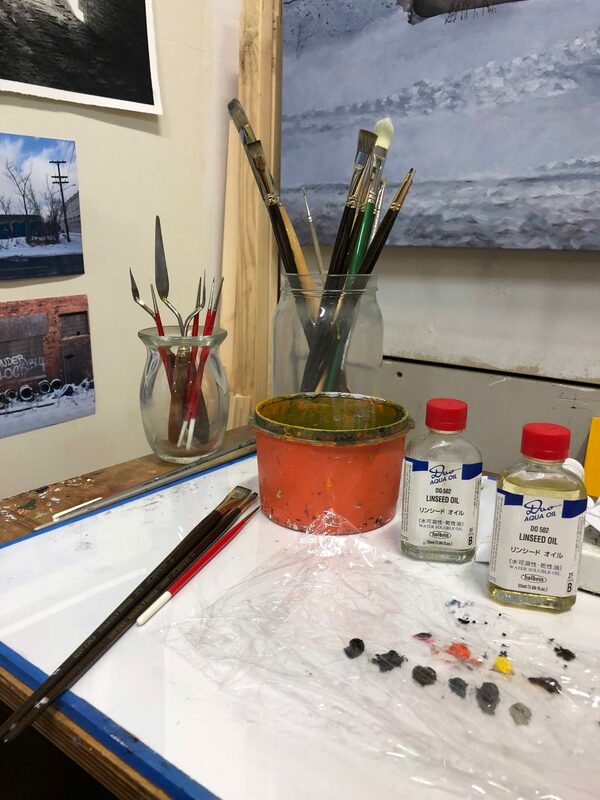 Below is a peek into Buer’s Portland studio captured earlier this year. 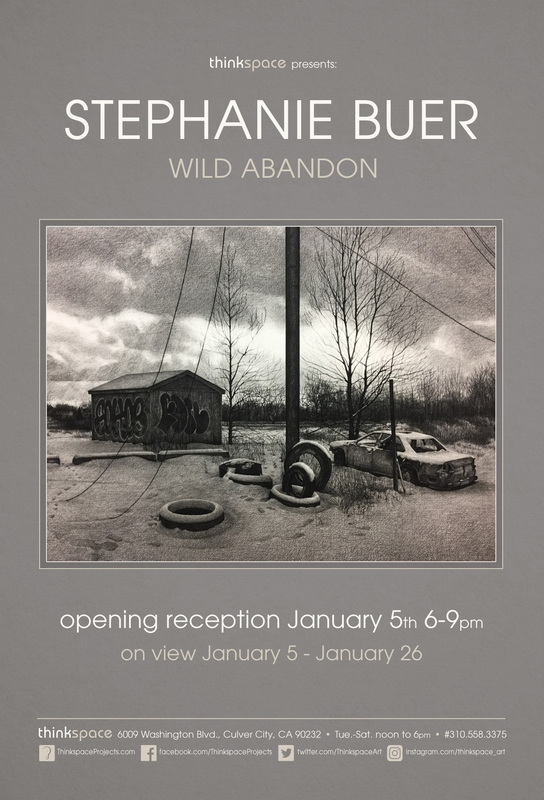 Join us at the opening of Wild Abandon, January 5th from 6 pm to 9 pm. 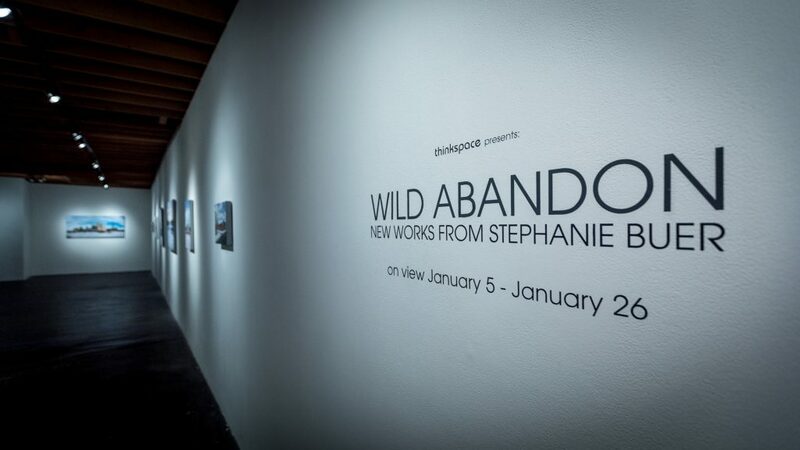 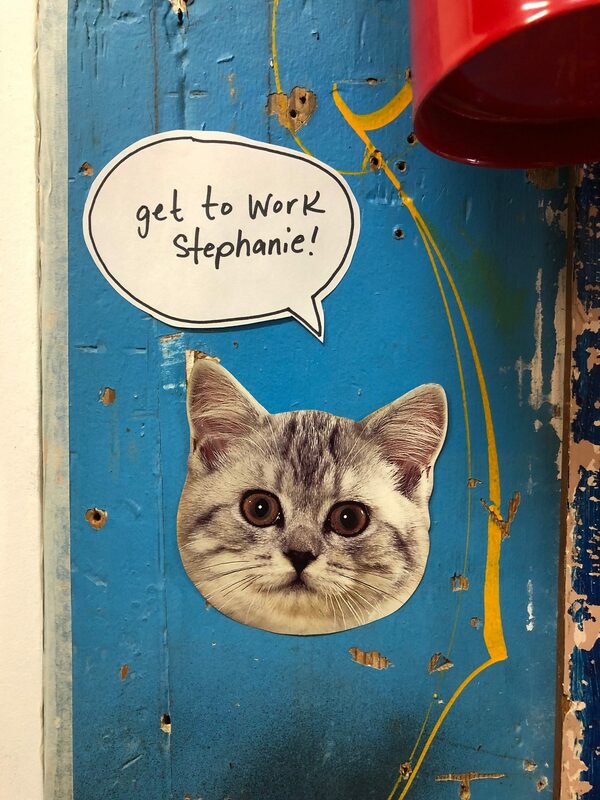 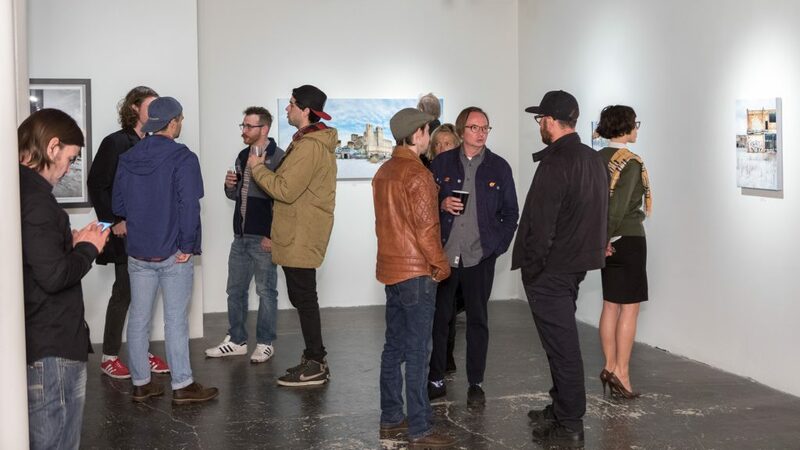 Thinkspace is pleased to present new works by Portland-based artist Stephanie Buer in Wild Abandon. 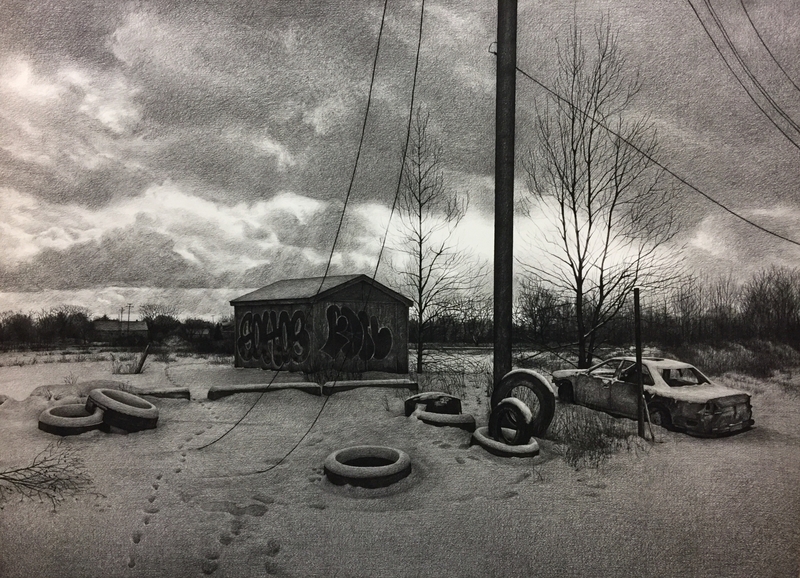 Known for her poignant, photorealistic paintings in oil, and charcoal works on paper, Buer captures the abandoned recesses of the city, finding unexpected richness in its desolation and quietude in its abrupt vacancies. 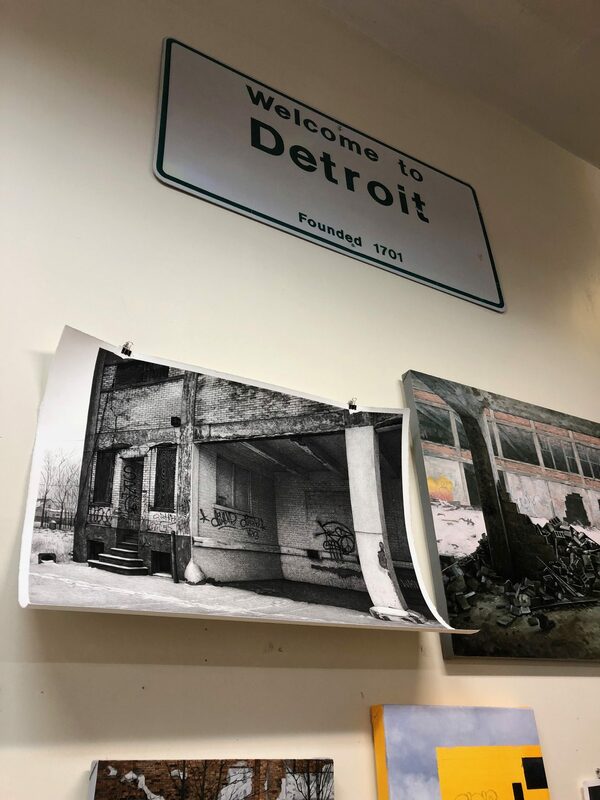 This ongoing body of work, first inspired by Buer’s time spent in Detroit, Michigan, exploring the hidden corners of the city and the fallow architectural remains left by the imploded American auto industry, has since evolved into a poetic series of documentary memorials, capturing moments in the derelict lifespan of the city’s castaway structures. 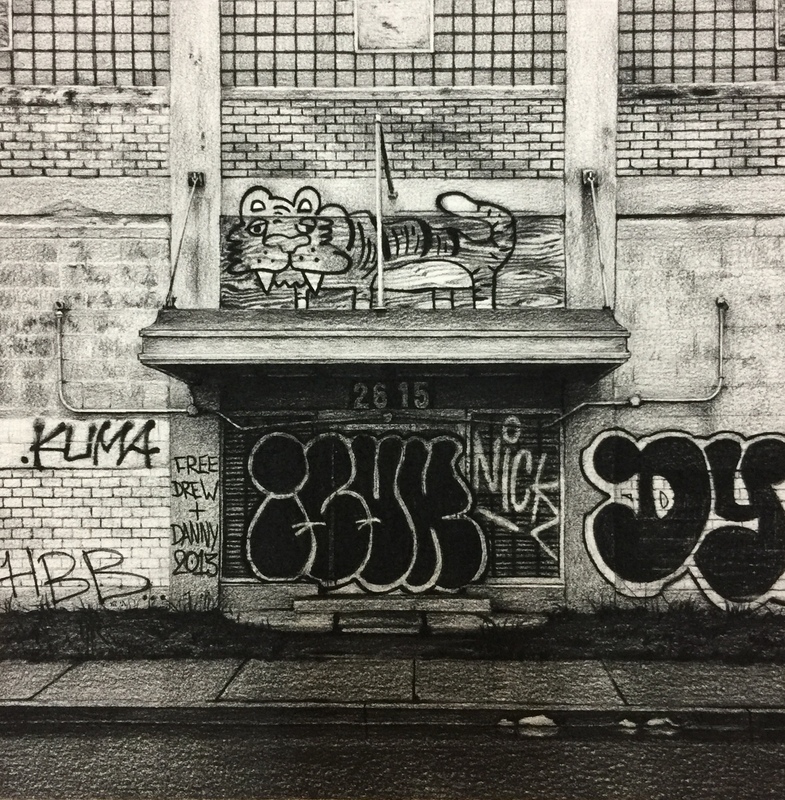 Buer offers glimpses of time arrested, through the abeyance of abandoned buildings and the meditative calm of their imposing discontinuity, a barrenness that seems surreal by contrast to the excessively populated pace of the world we inhabit. 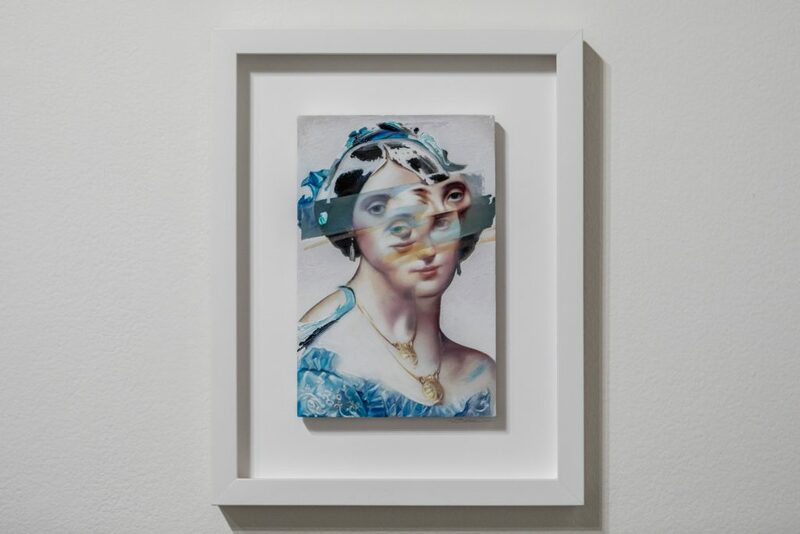 Without human subjects, Buer places the symbolic burden of this absence upon that which remains in view: the physical vestiges of abandonment. 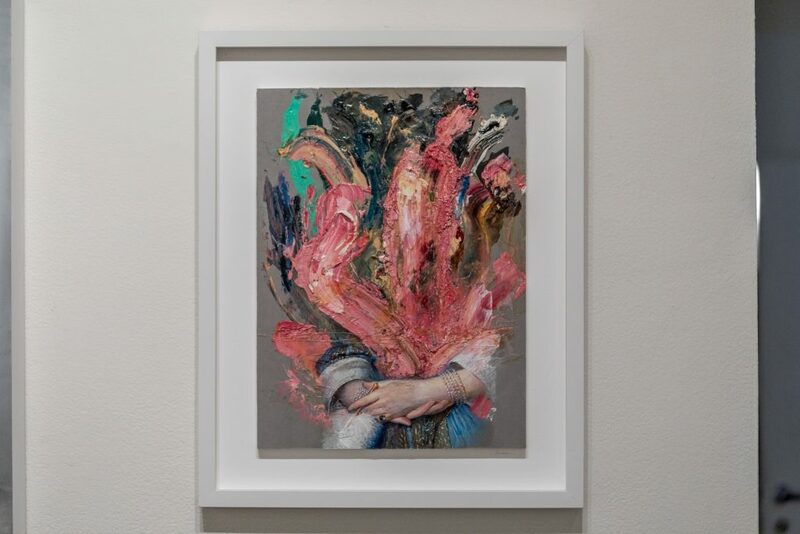 The invasive quality of quiet that shapes Buer’s contemplative works is unique; they are arresting in that they abruptly apprehend the passage of time. 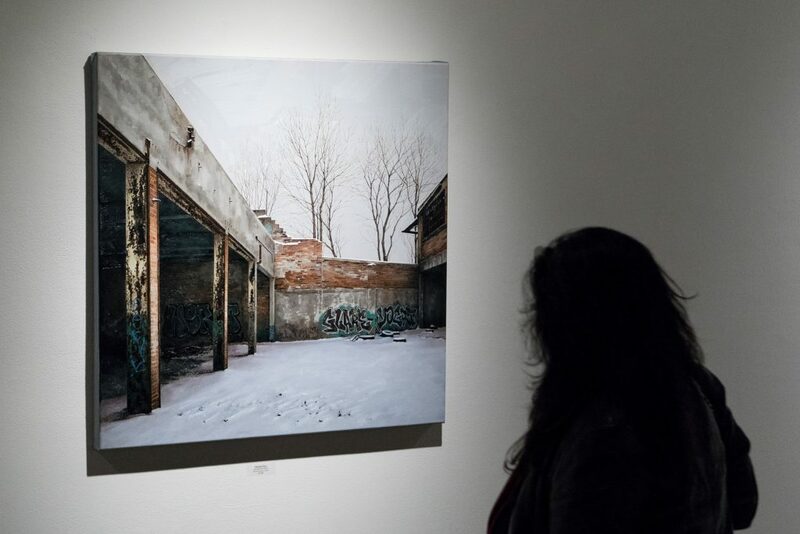 Her paintings still a moment in the temporal lifespan of these abandoned structures, some in more advanced states of deterioration than others. 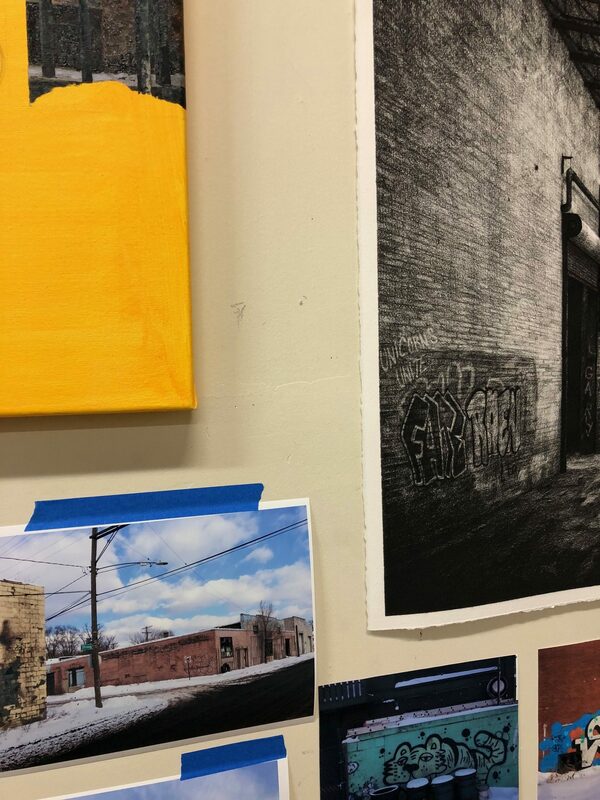 They exist on the outskirts of time and space, divested of use and function. 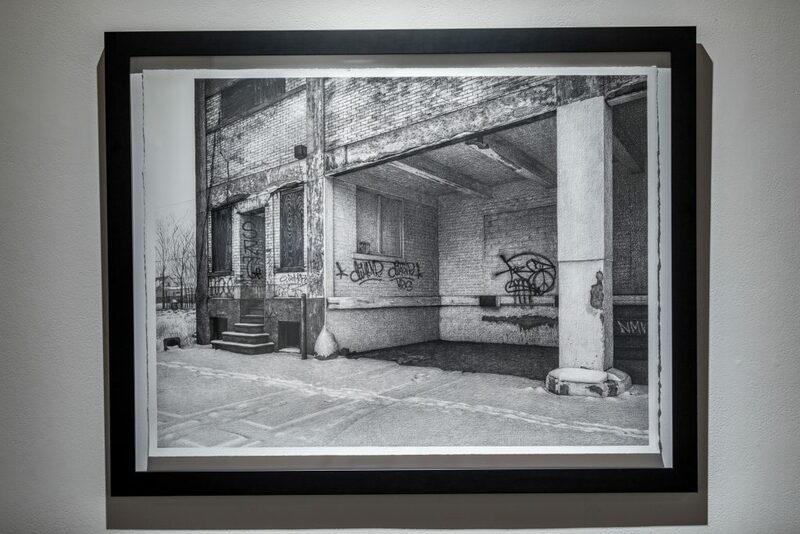 By capturing the relics of urban development exhausted or gone wrong, her works reveal a fascination with the cyclical life of these structures, and their fate once returned to the lawlessness of margins. 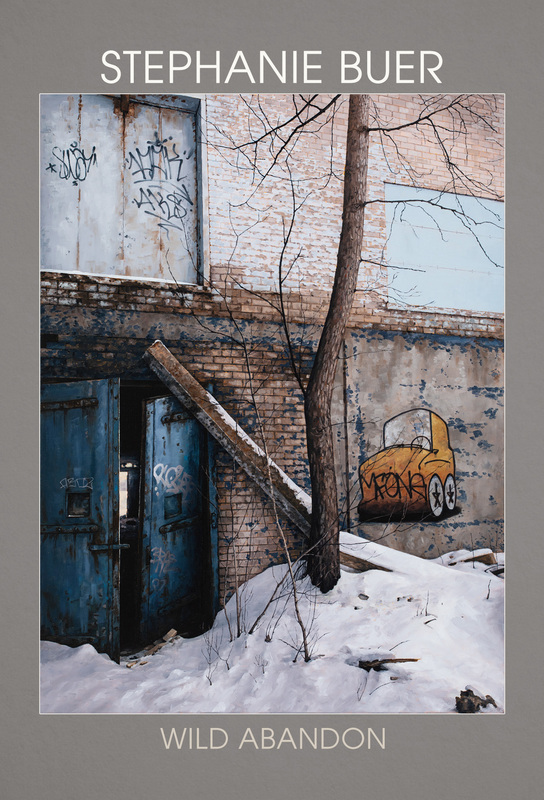 Overcome by nature, vandals, entropy, and the socially peripheral, a quiet haunting consumes these buildings with the spectral implication of loss and extinction their desertedness implies. 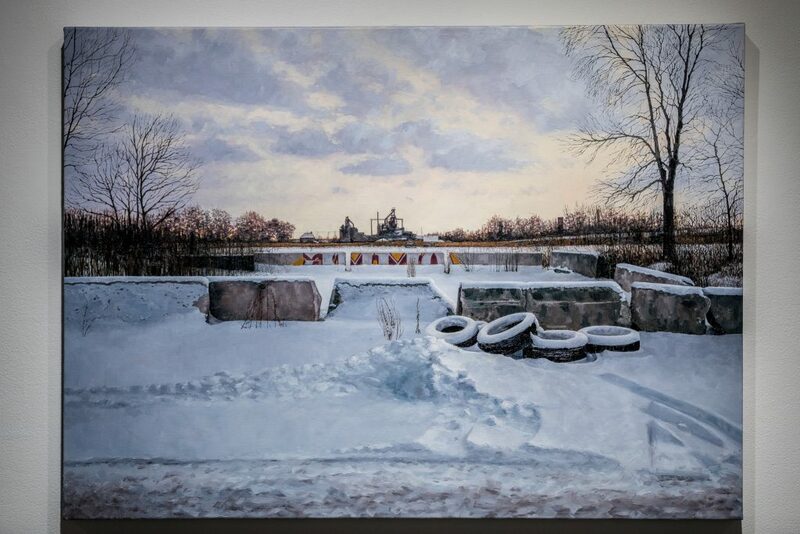 There is, however, redemptive peace and beauty found amongst Buer’s contemporary ruins; in the eventual reappearance of nature where once it was cleared and in the continuity of a kind of rebel growth in spite of ultimate desertion or human intent. 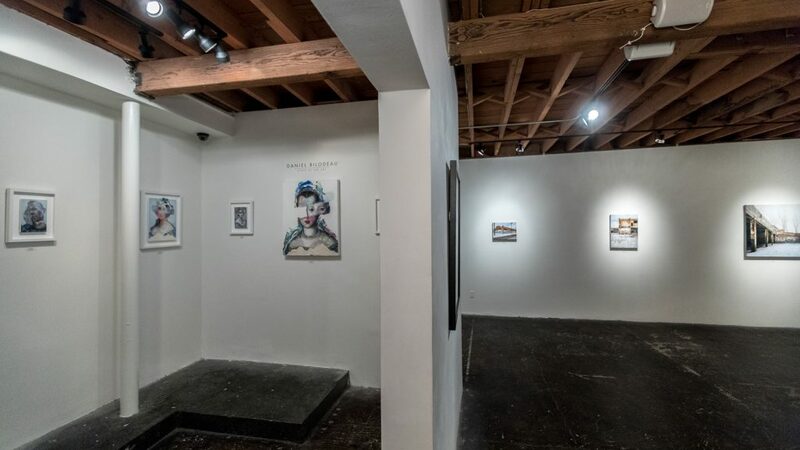 Mysterious in the anarchic freedom their marginal existences imply, these spaces represent a kind of exemption from the restraint of the colonized city. 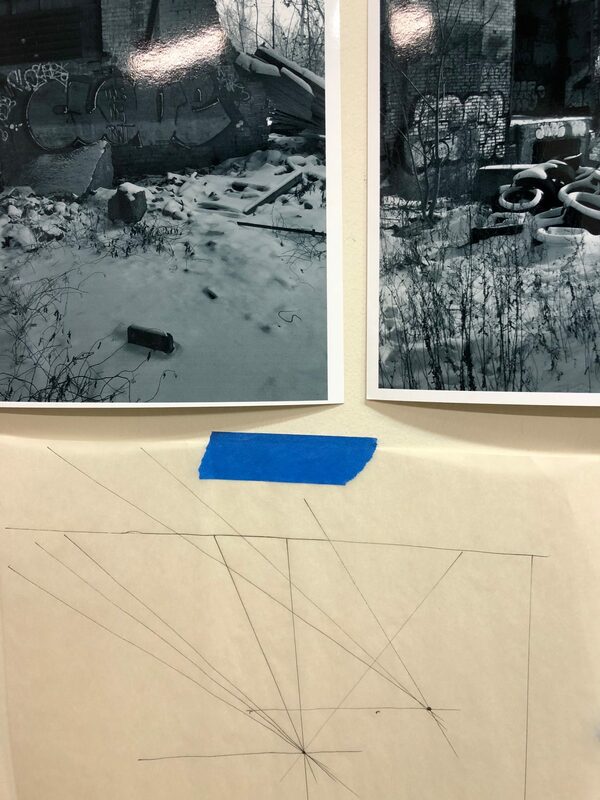 Something elastic and free, while simultaneously vulnerable and uncertain, makes the condemned structure strangely more akin to human life. 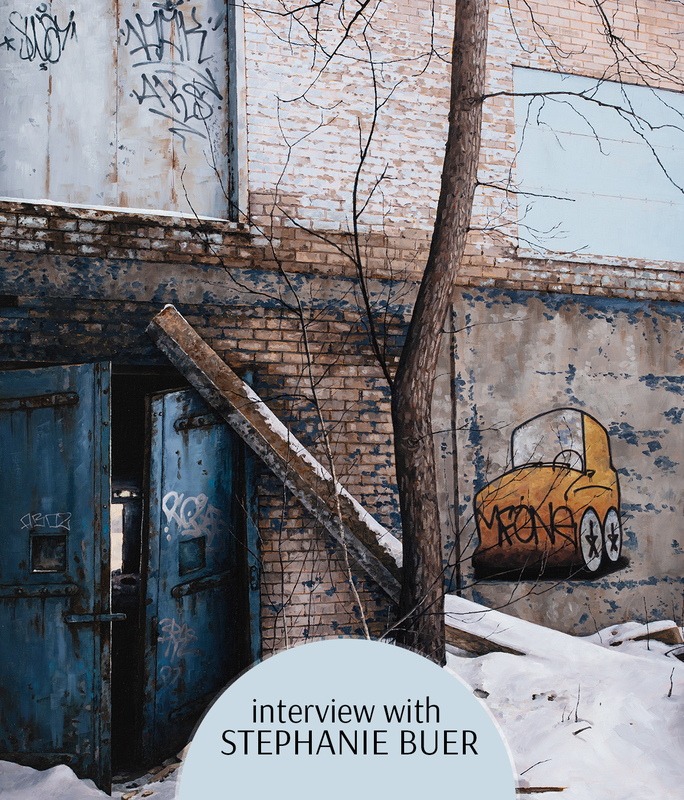 An evocative moodiness persists in Buer’s poetic compositional choices, her immersive attention to detail, and her emotive capture of time and place. 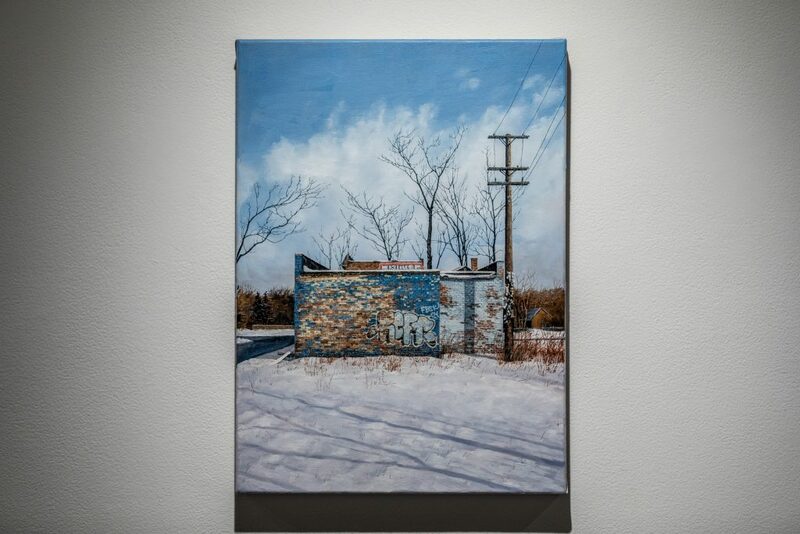 The works are lovingly, and even painfully, precise in their lush detail and arrested stillness. 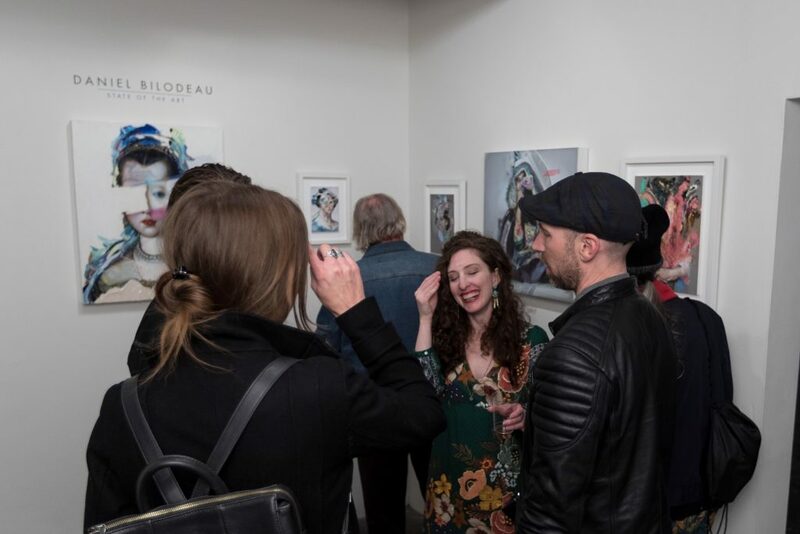 Buer combines the representational clarity and control of photorealism with the subtly perceptual handling of her medium. 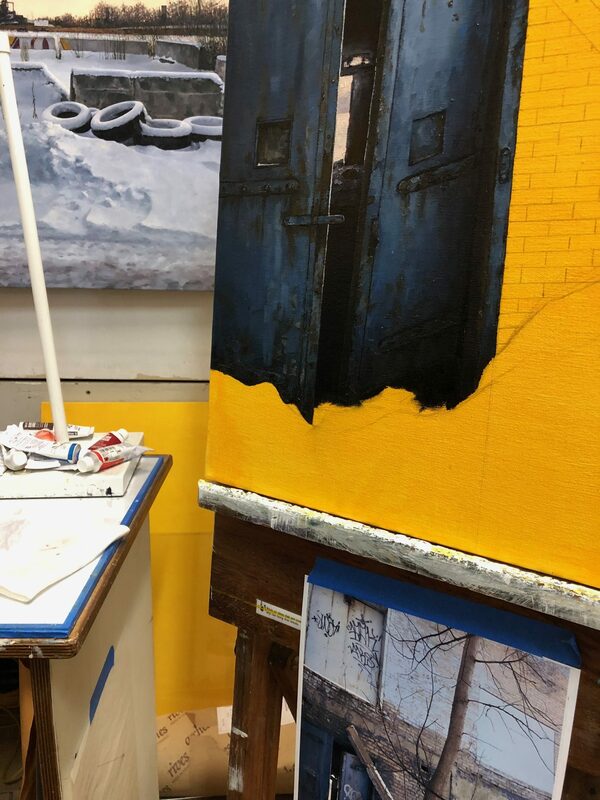 Her impressionistic treatment of light is imperceptible, but produces dramatic contrasts, while the immersive level of detail she realizes is staggering. 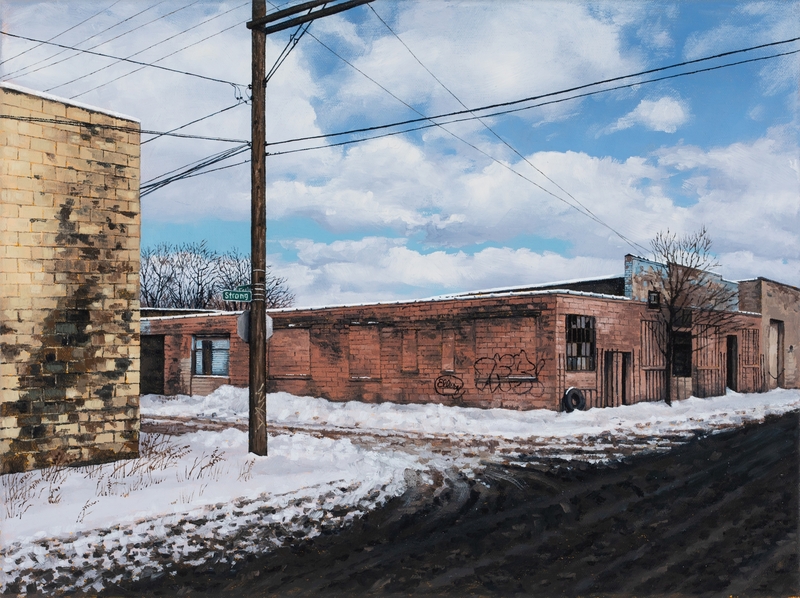 These color-saturated paintings and dark monochromatic works on paper are labor-intensive documentations that seamlessly combine observational realism with extremely subtle, affect-driven stylization. 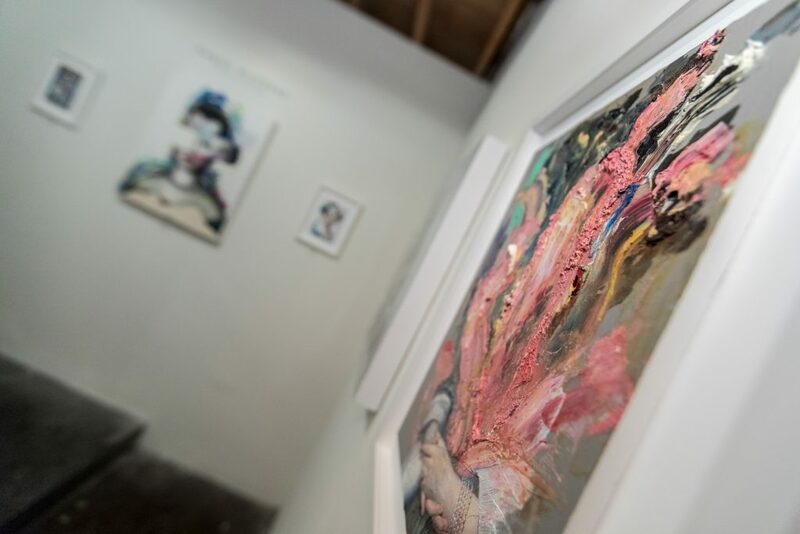 Buer’s attention to the rendering of minutiae and texture make entry into the scenes she proposes physically palpable and intimately close. 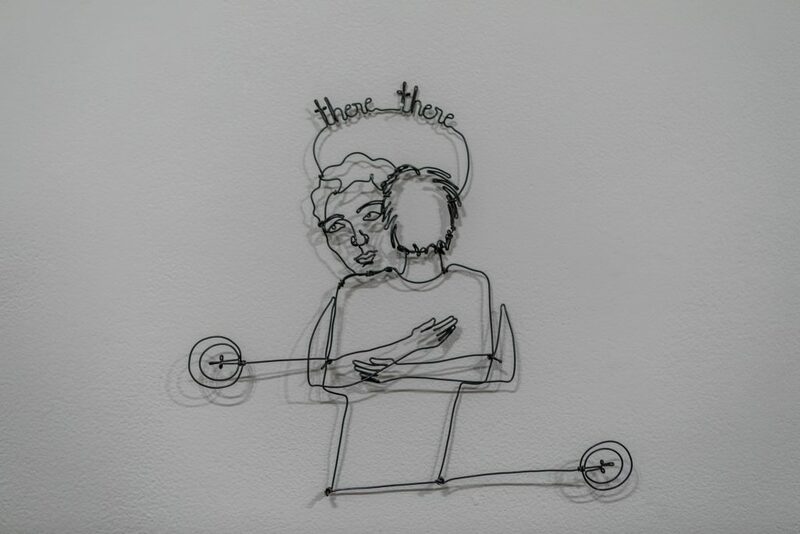 We’re left with the strange impression of having entered a world of slightly offset metaphysical registers, with structures that exist somehow ambiguously ‘elsewhere.’ Everything unassuming in the absences Buer captures feels somehow significant and revelatory. 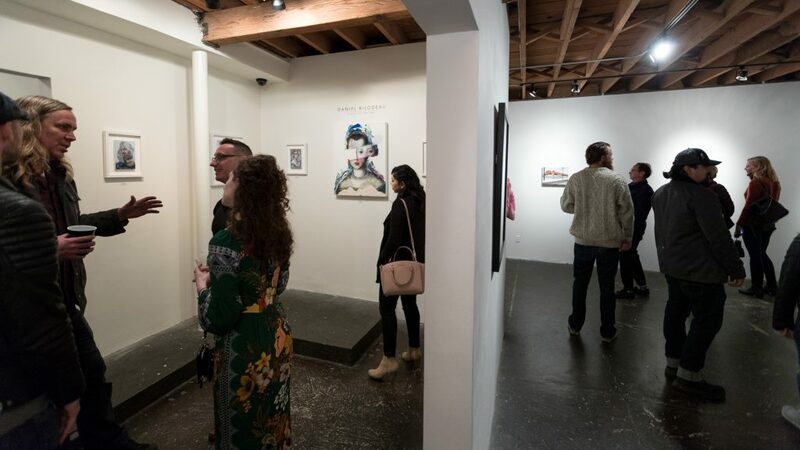 It’s the last weekend to view Stephanie Buer’s Los Angeles inspired body of work ‘Uncommon Silence’ and So Youn Lee’s whimsical ‘Limpid’. 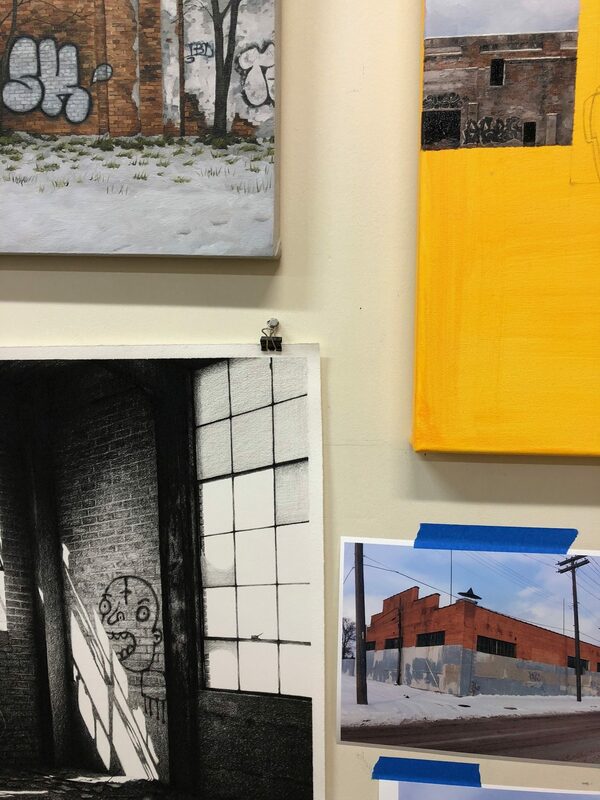 The details on both bodies of work must be seen in person to truly appreciate the work. 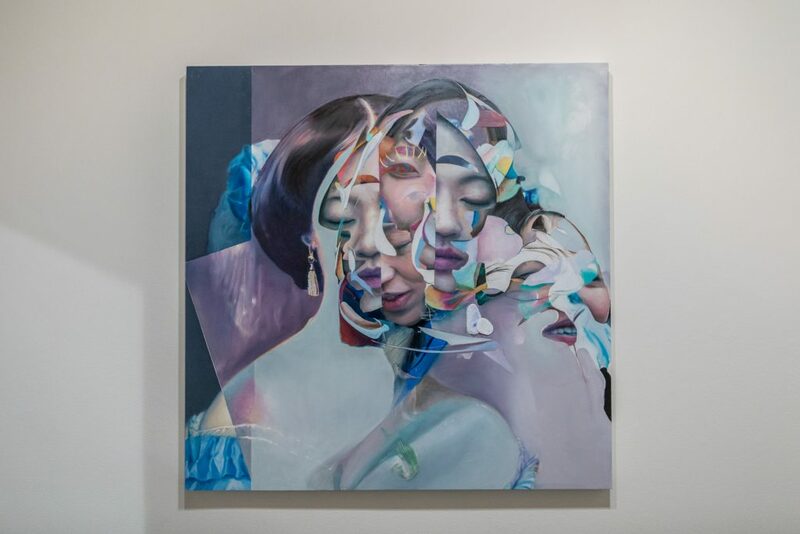 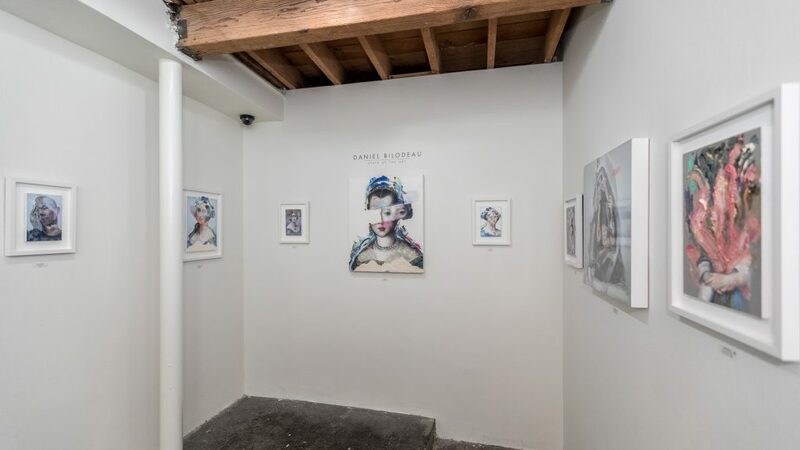 To view available pieces by Stephanie Buer and So Youn Lee hop over to the Thinkspace Gallery website.